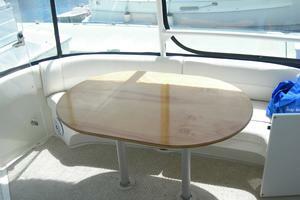 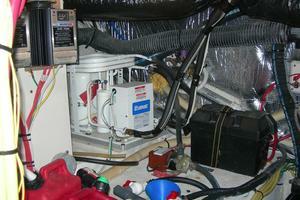 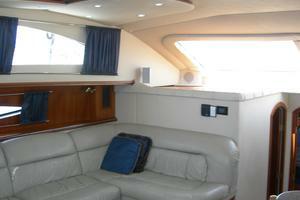 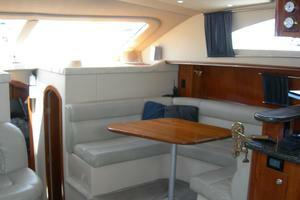 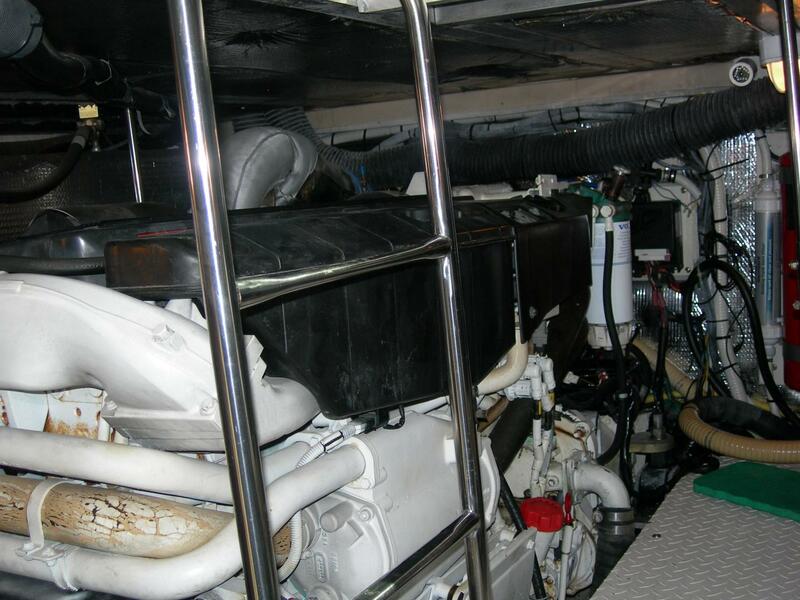 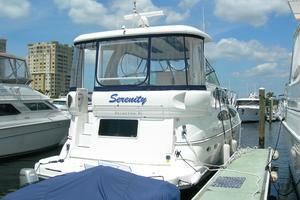 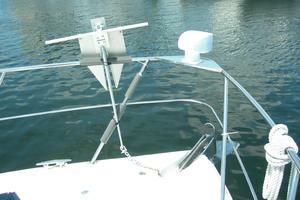 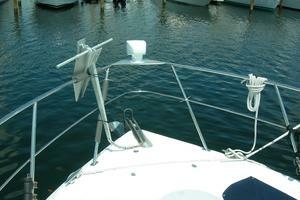 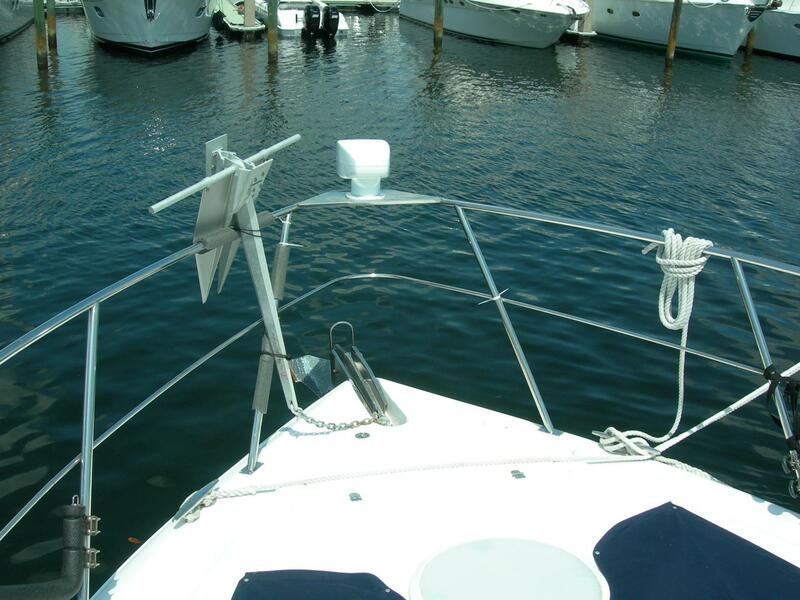 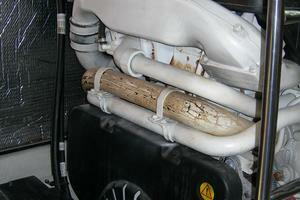 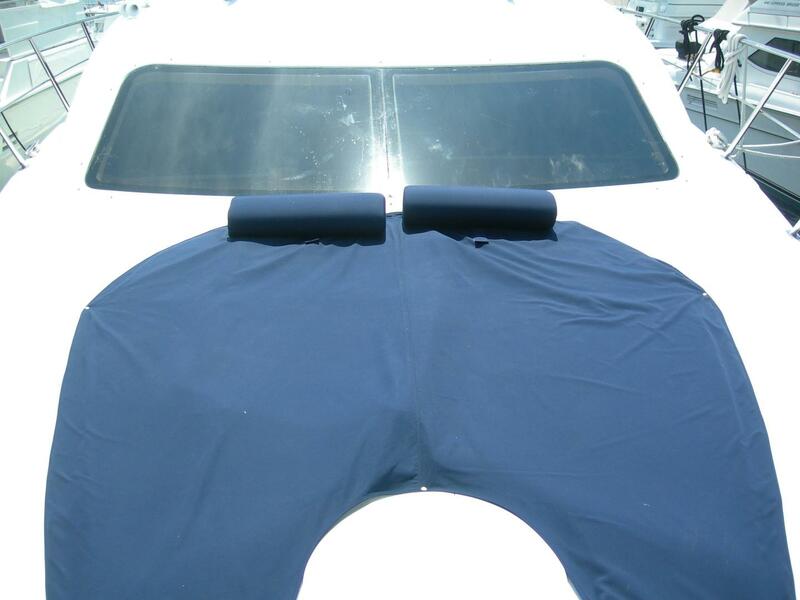 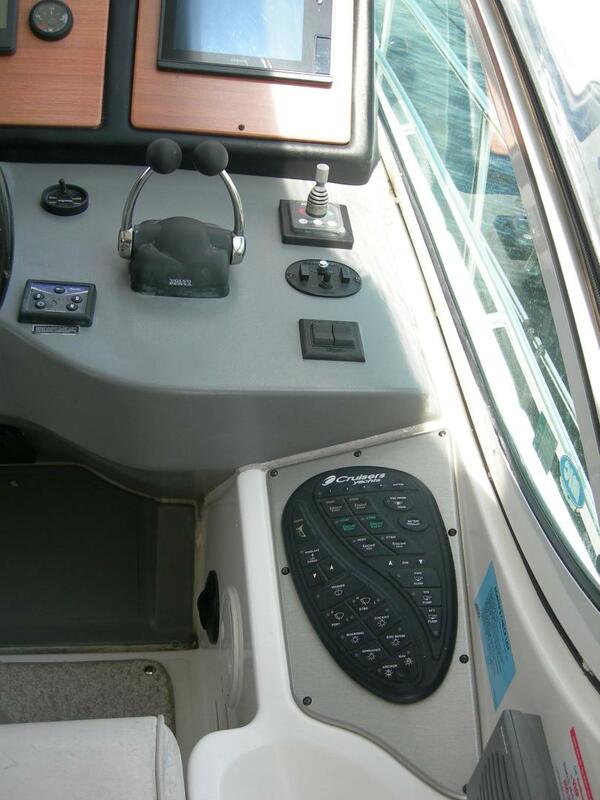 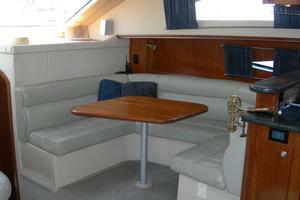 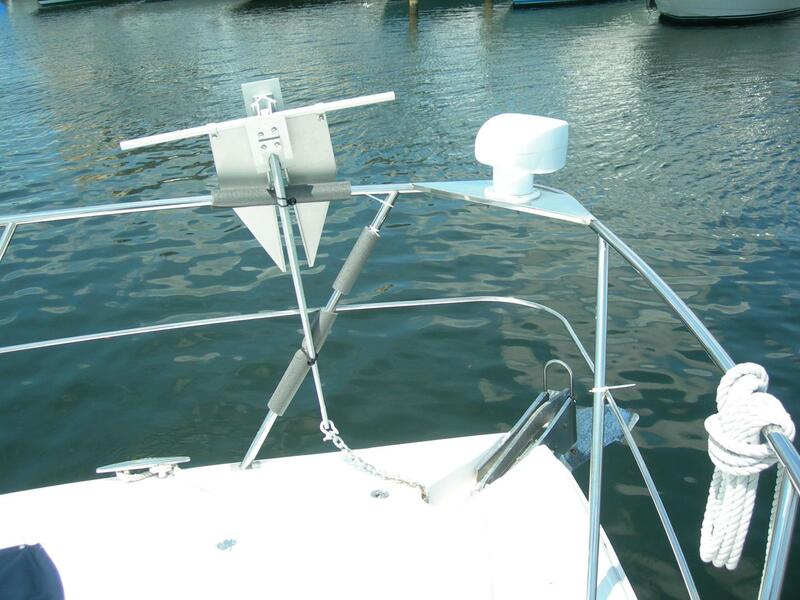 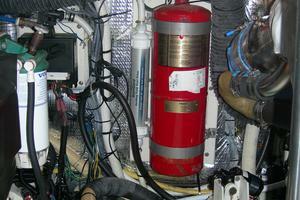 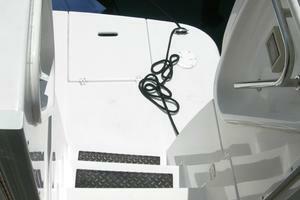 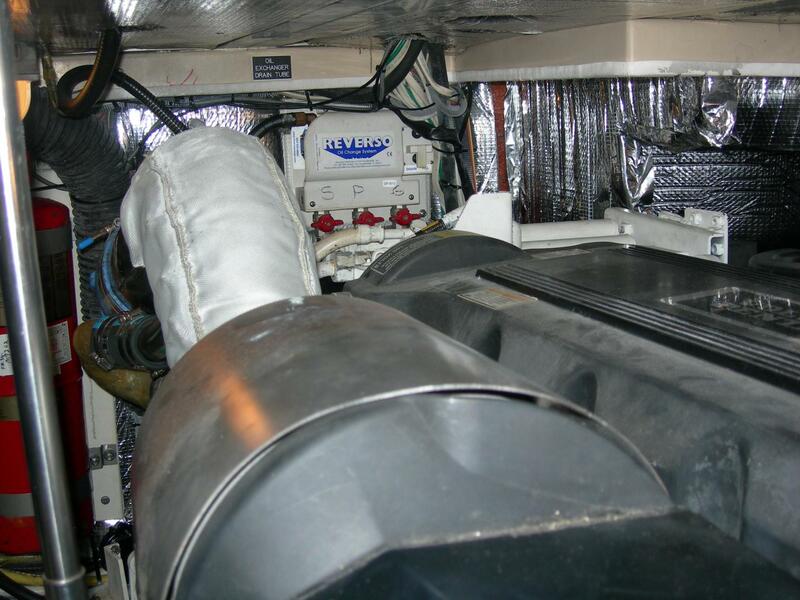 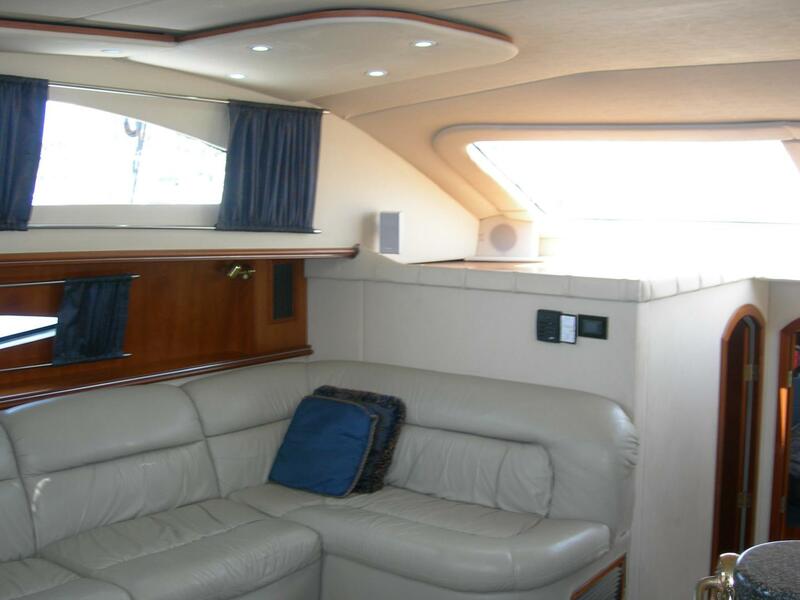 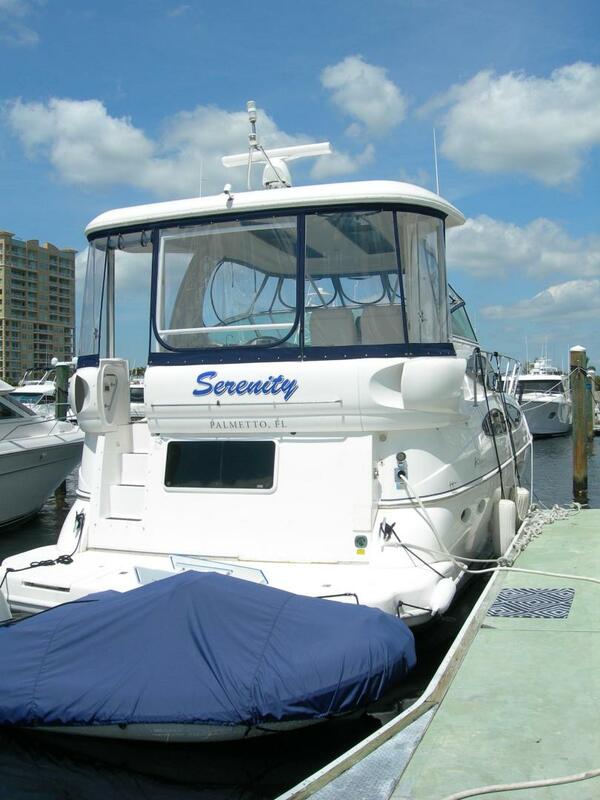 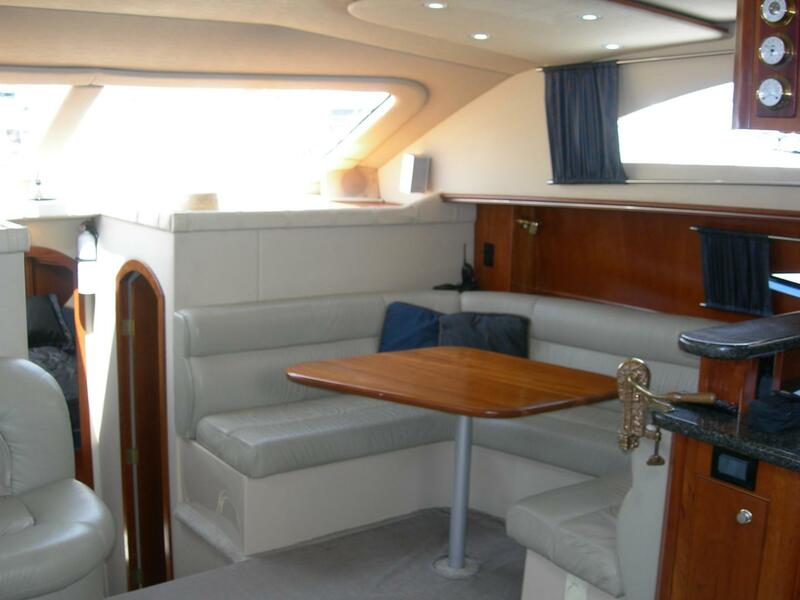 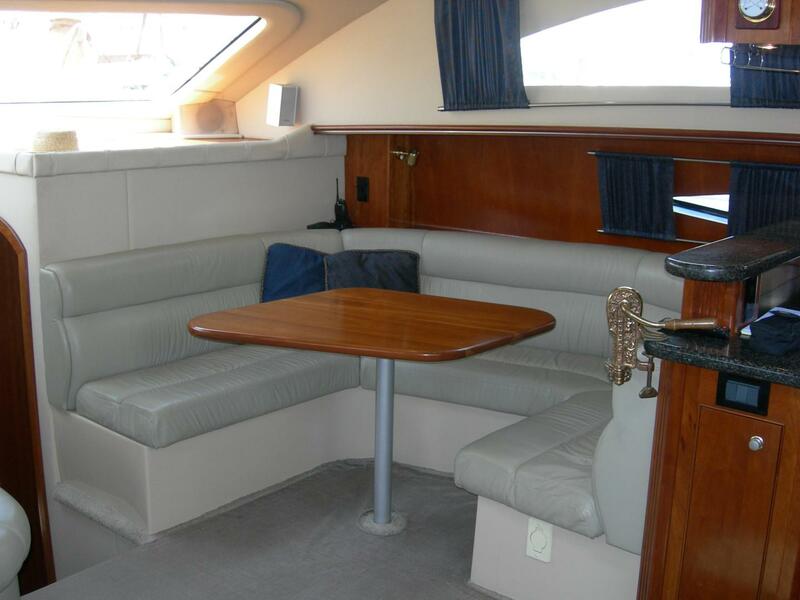 Serenity is a well maintained, well equipped cruising yacht. 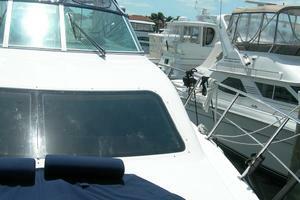 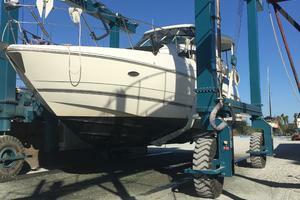 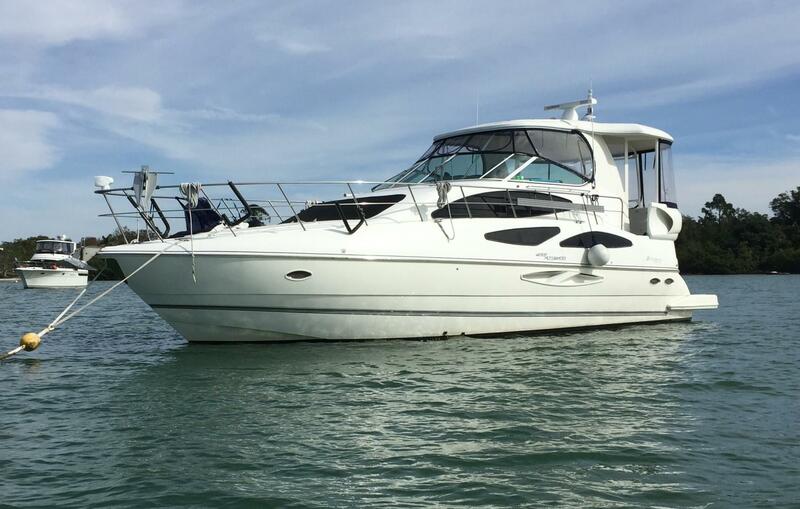 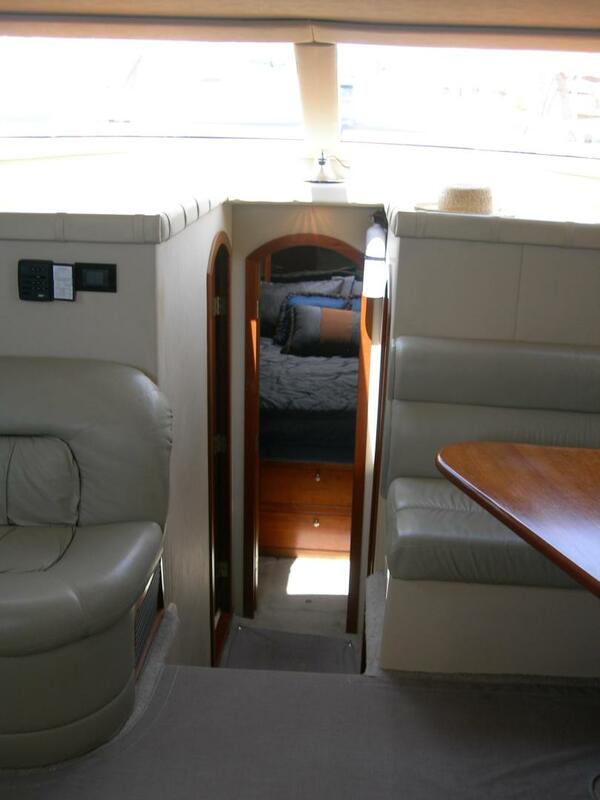 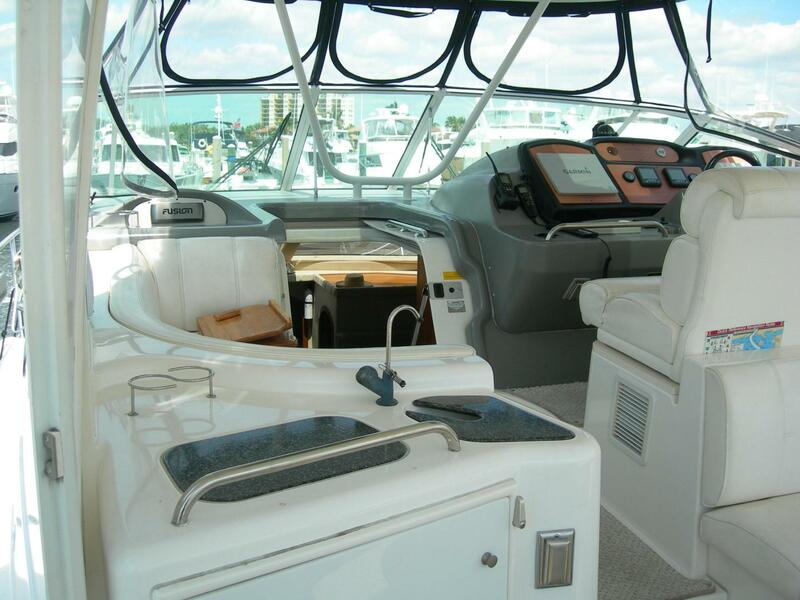 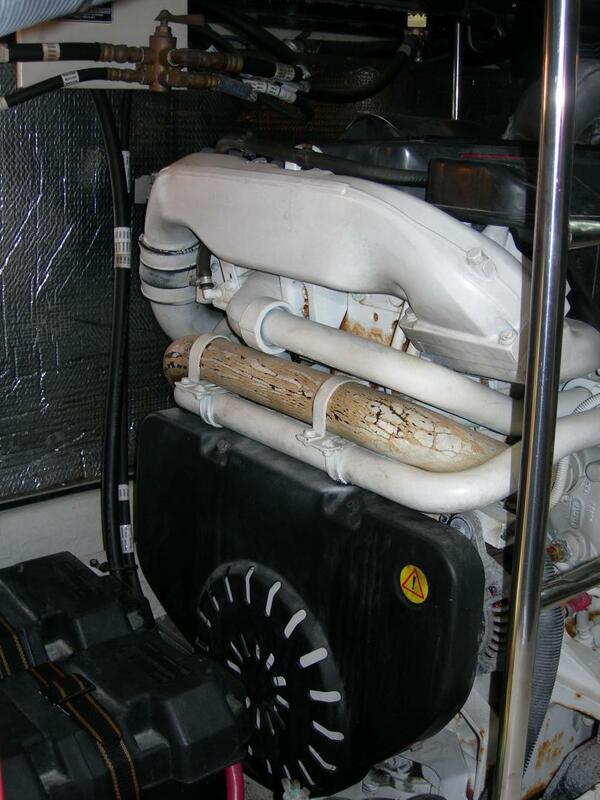 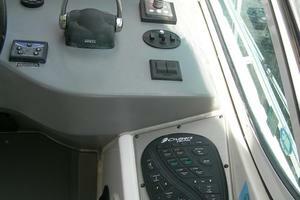 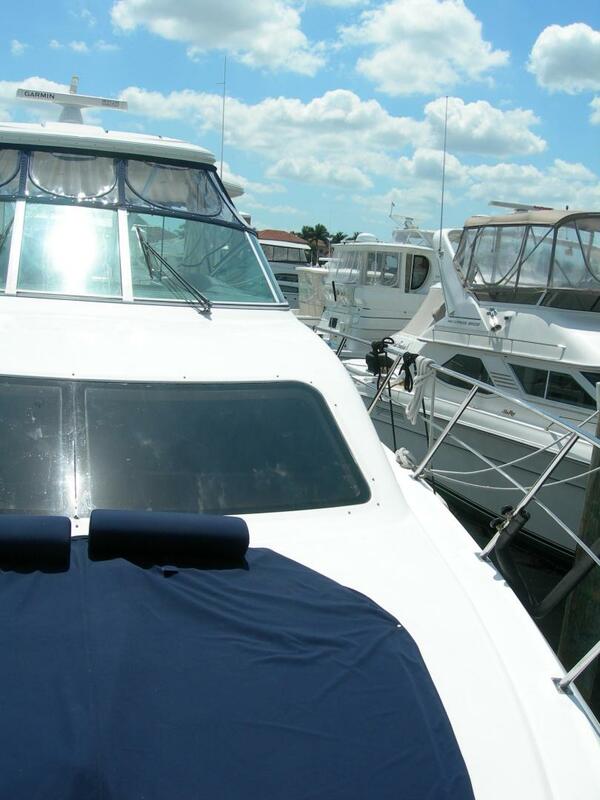 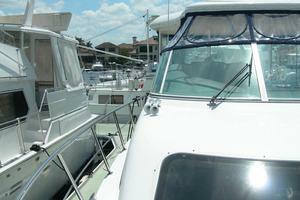 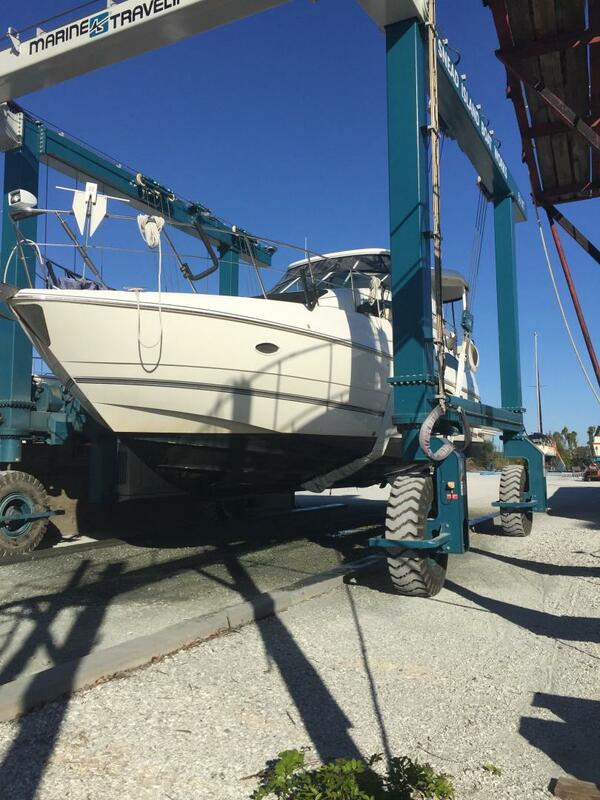 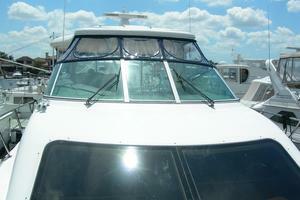 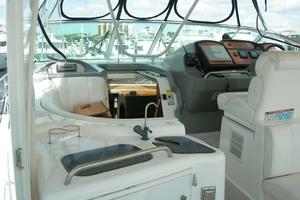 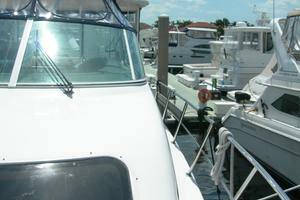 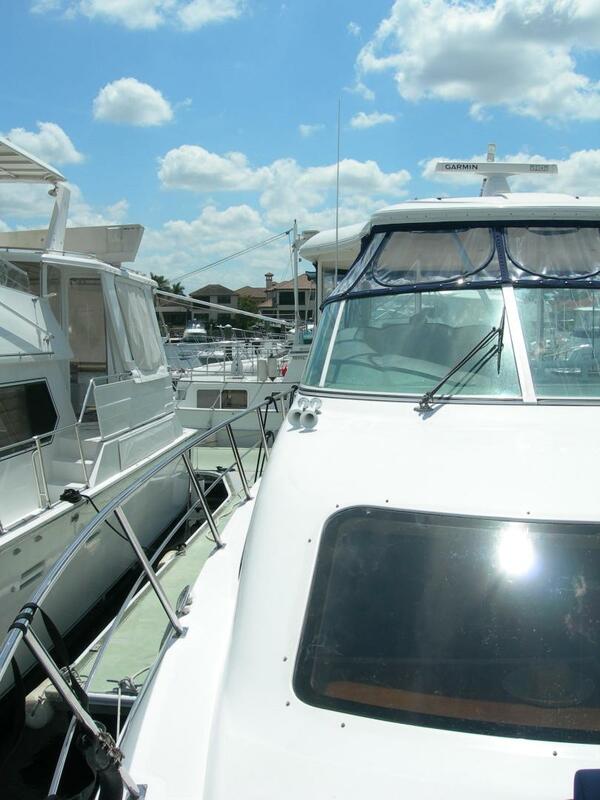 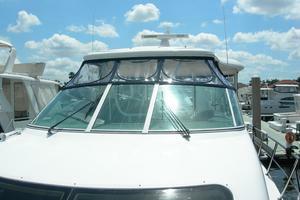 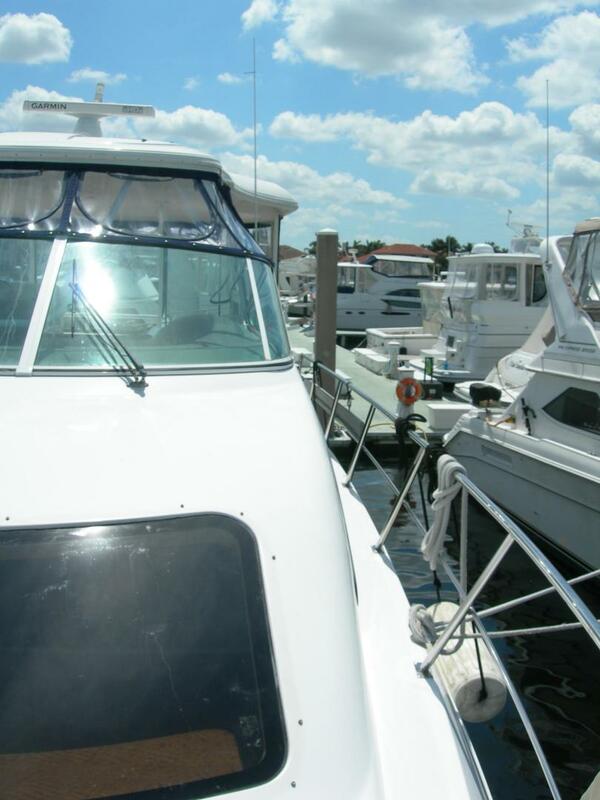 This Cruisers 455 Express Motoryacht is ideal for coastal cruising and island hopping and an ideal live aboard yacht. 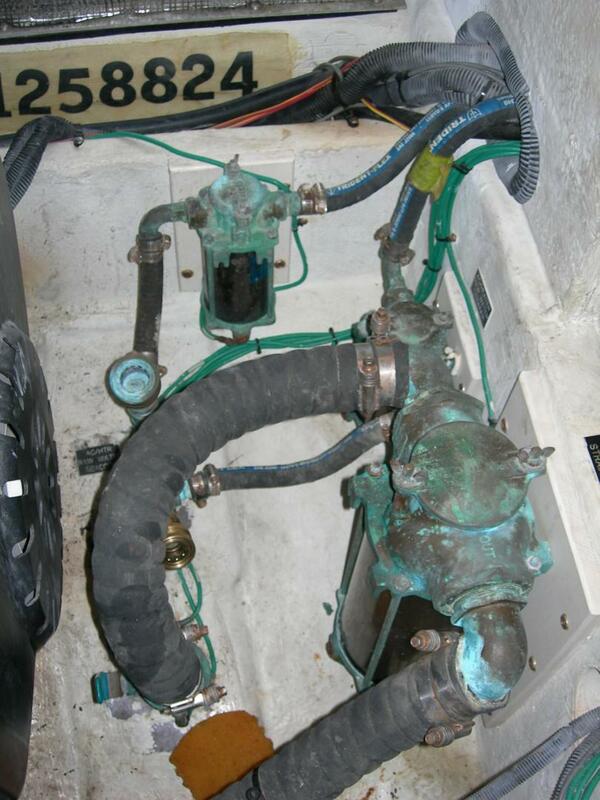 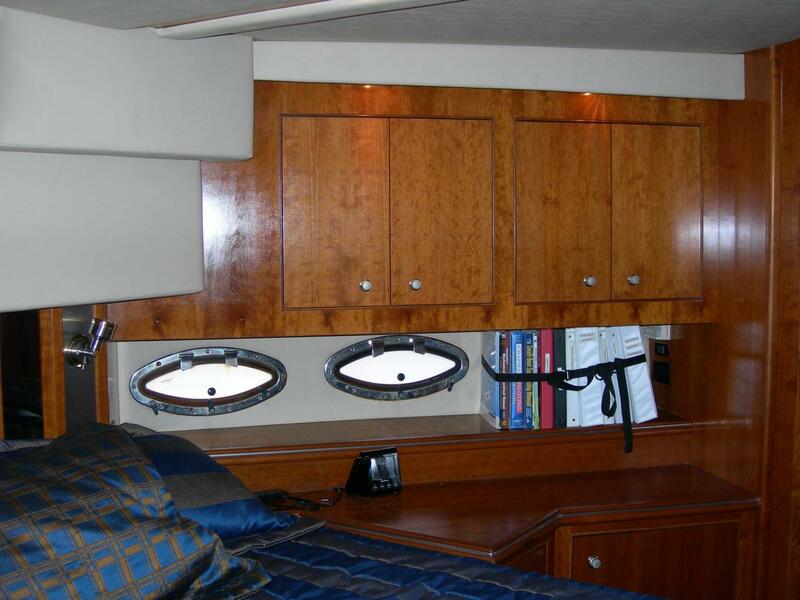 If you are in the market for an excellent example of an aft stateroom express cruiser this yacht should be on your short list. 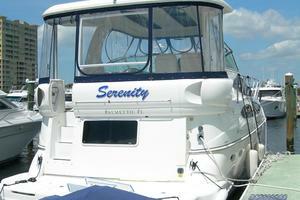 Serenity will not disappoint. 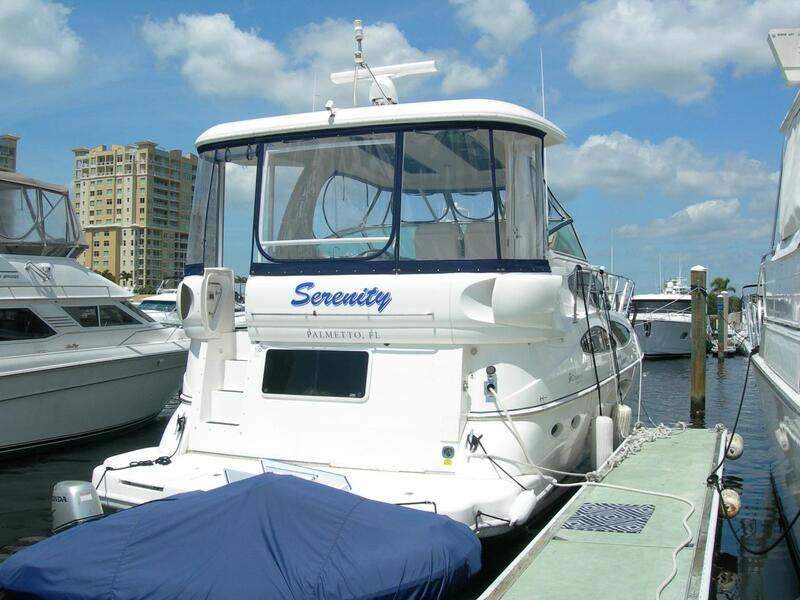 Serenity is a well maintained, well equipped cruising yacht. 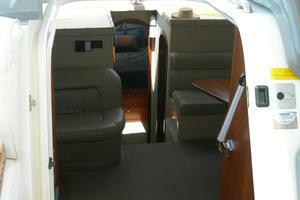 This Cruisers 455 Express Motoryacht is ideal for coastal cruising and island hopping and an ideal live aboard yacht. 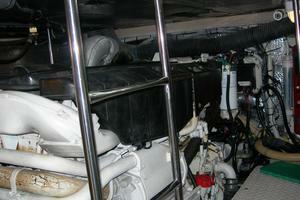 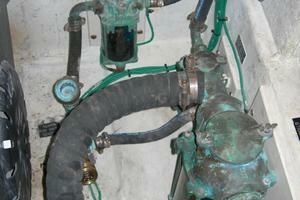 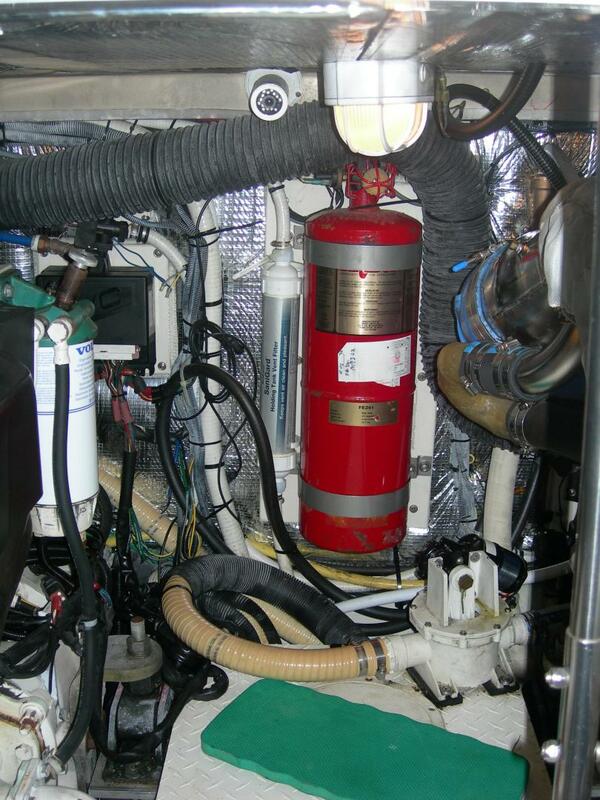 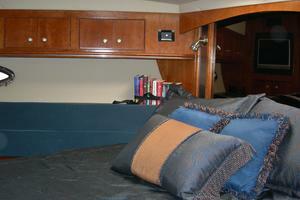 The master stateroom is aft and is full beam. 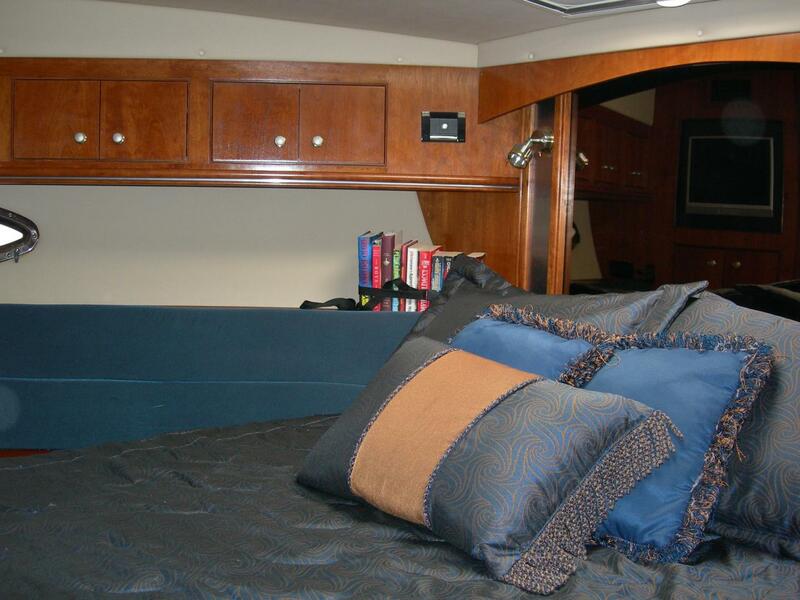 It's very large for a 45 foot motoryacht. 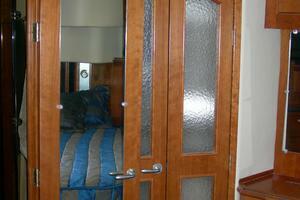 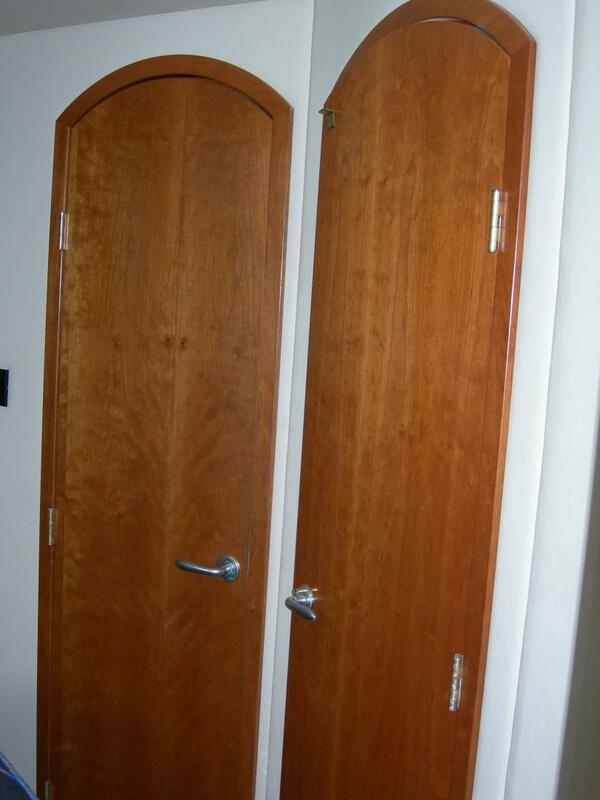 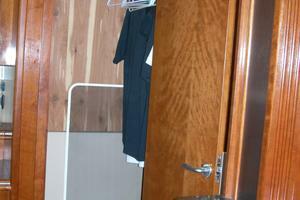 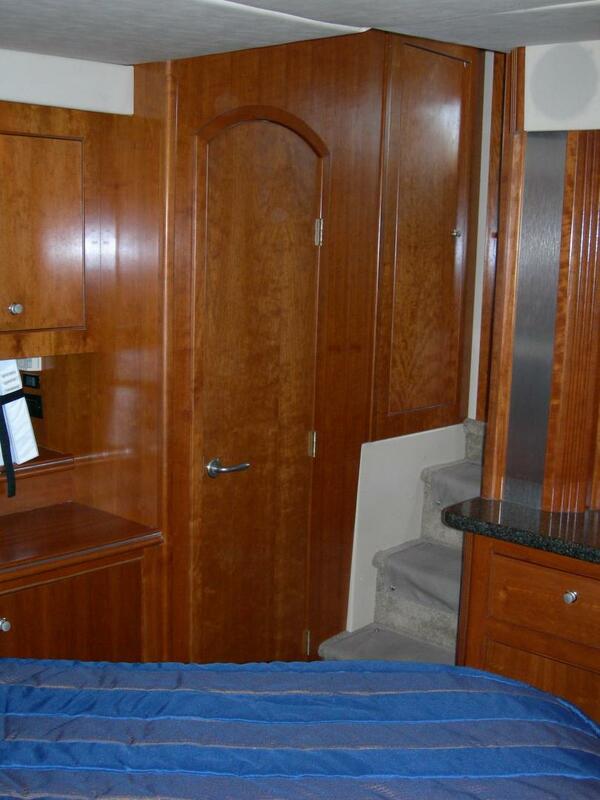 There is a queen size bed that is surrounded by cherry cabinetry. 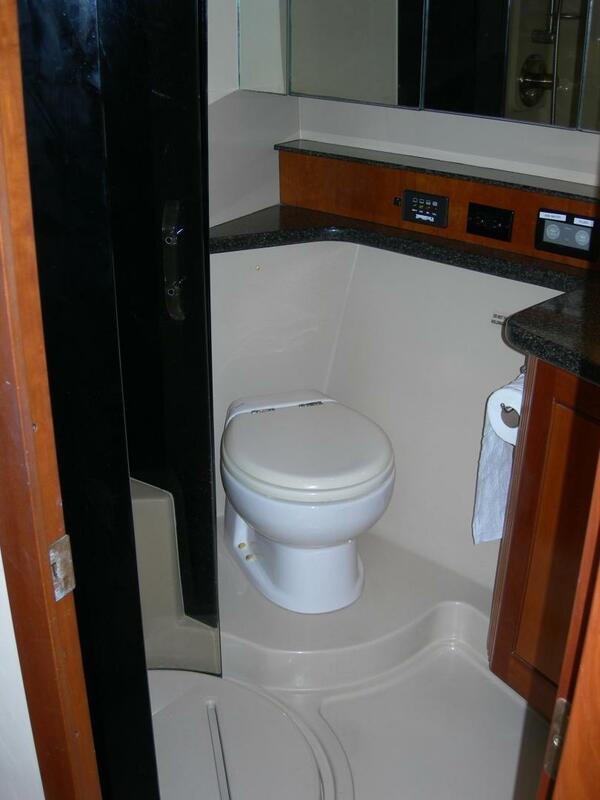 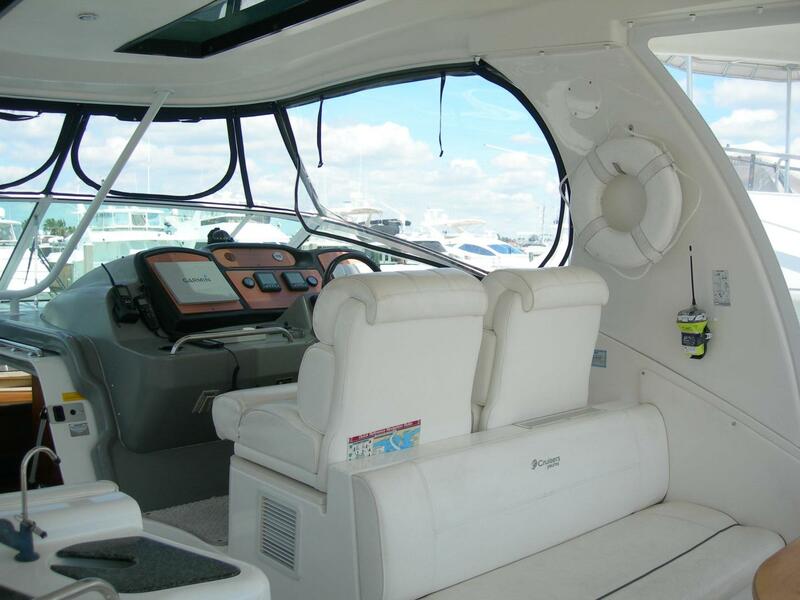 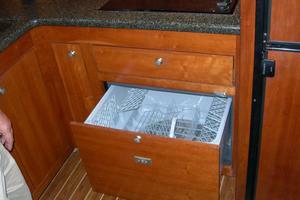 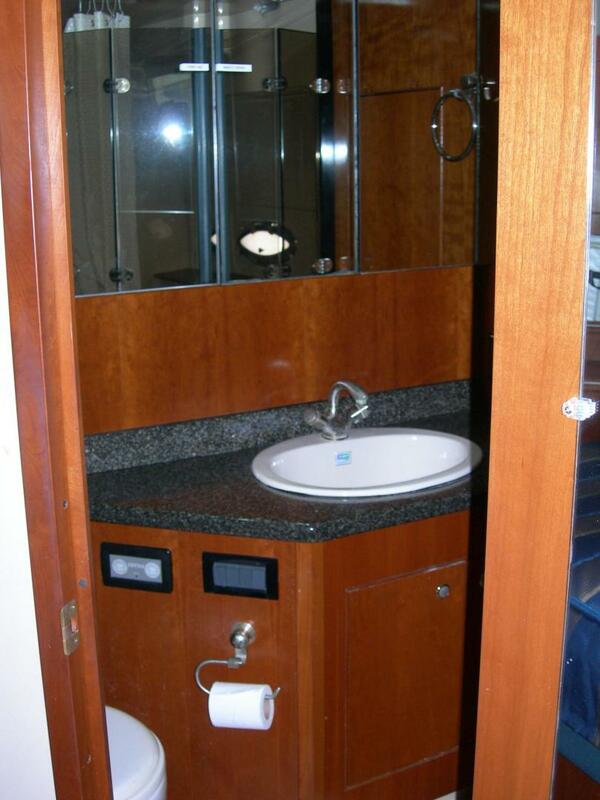 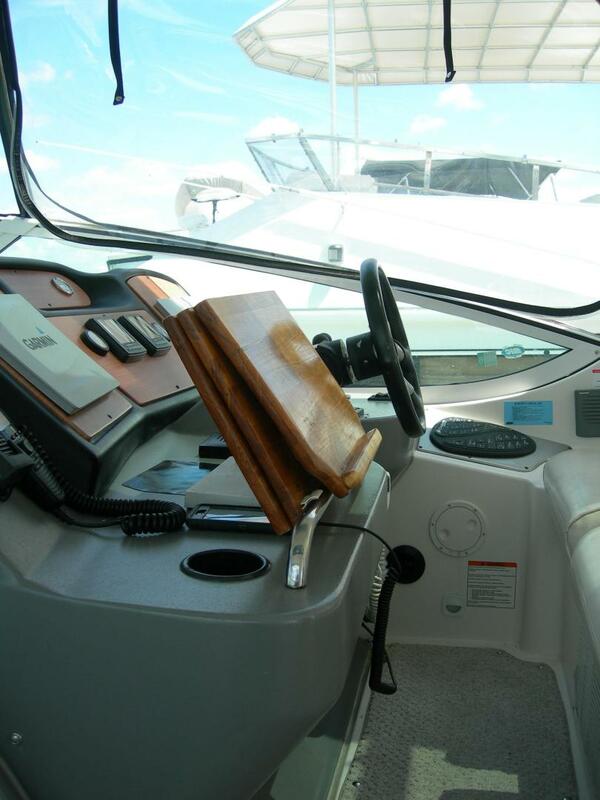 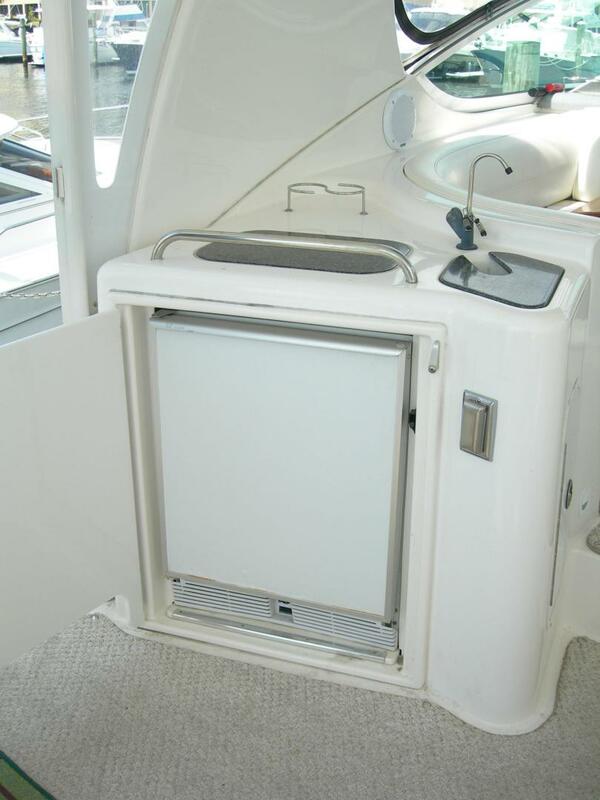 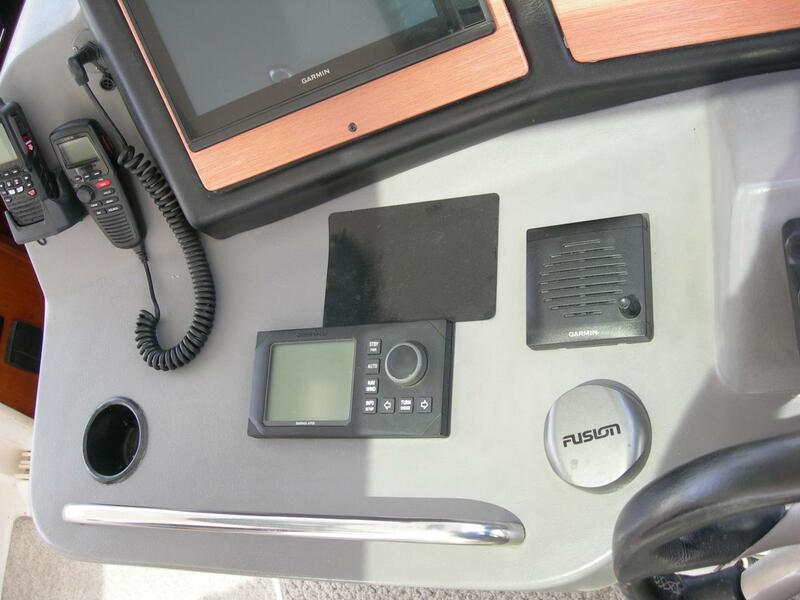 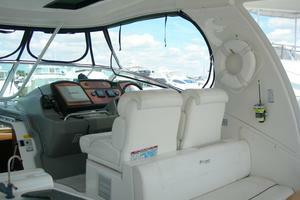 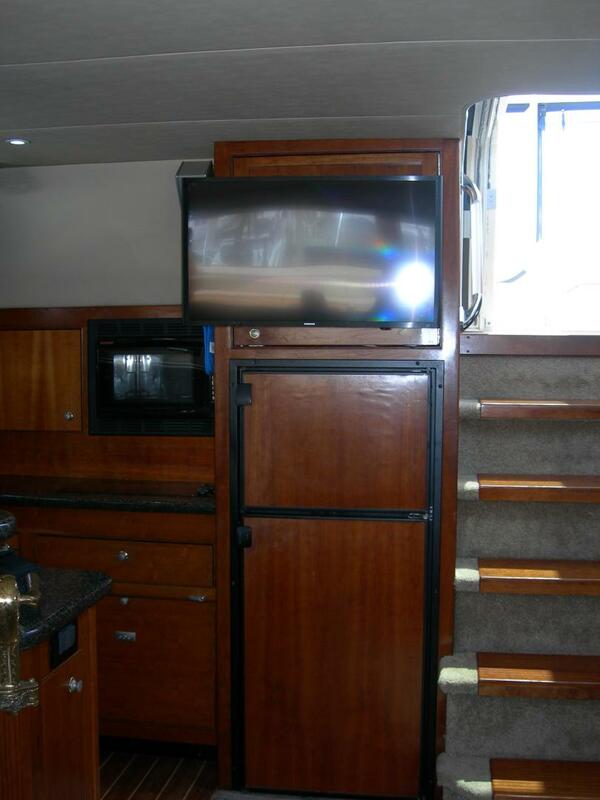 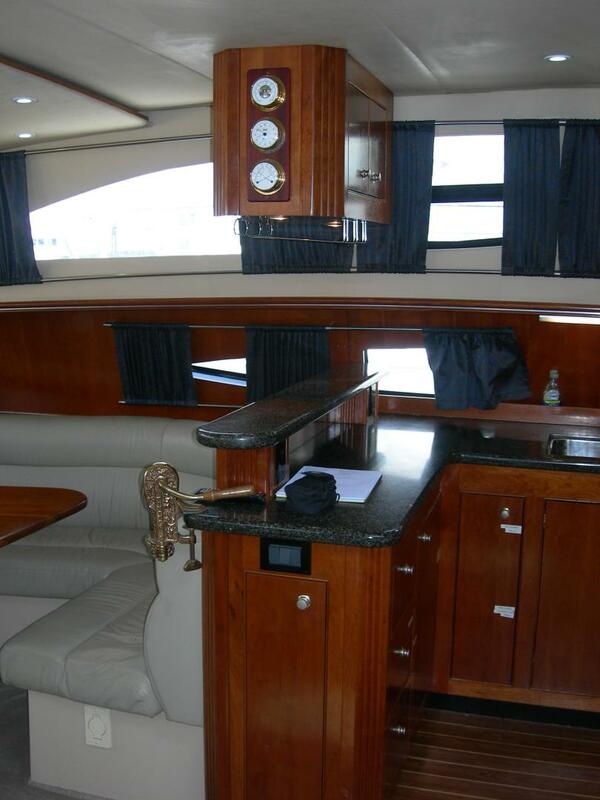 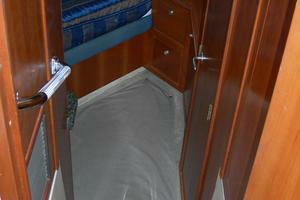 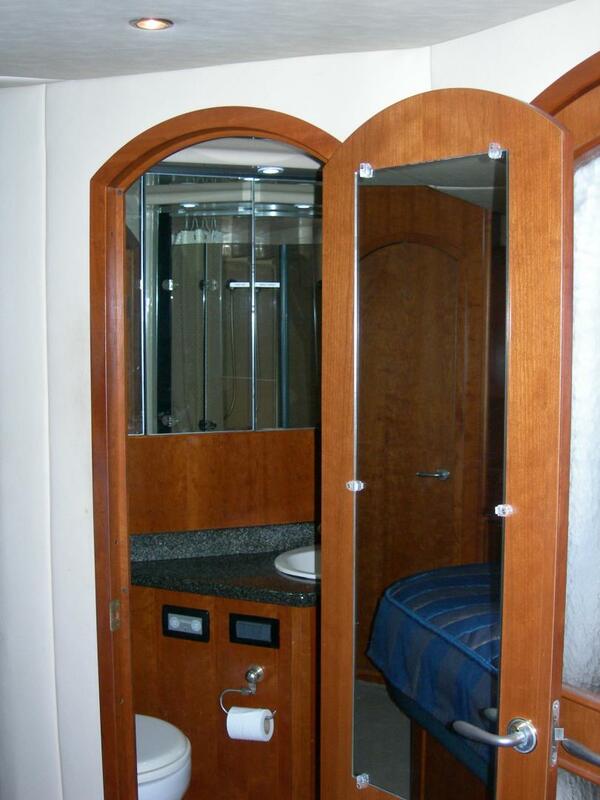 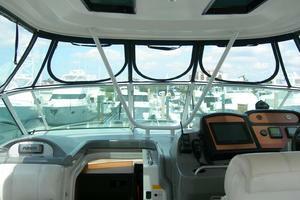 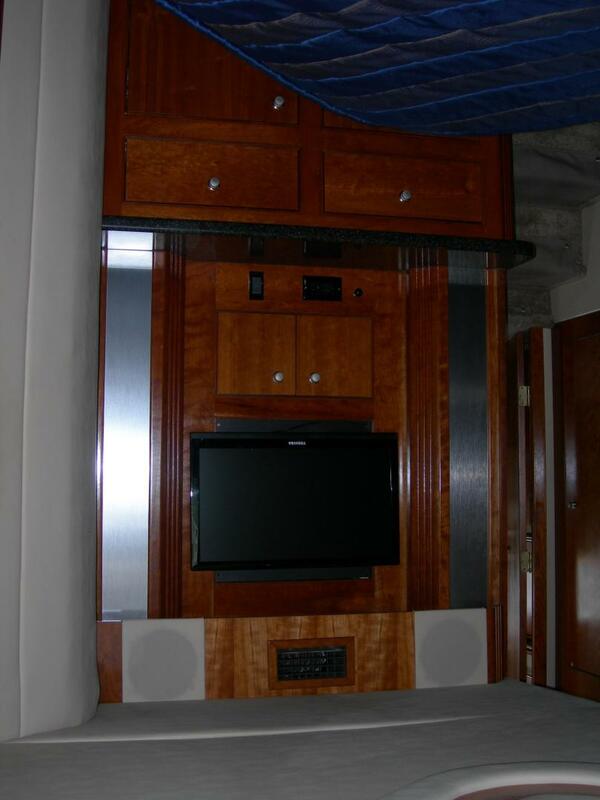 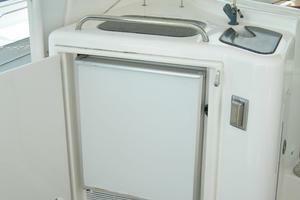 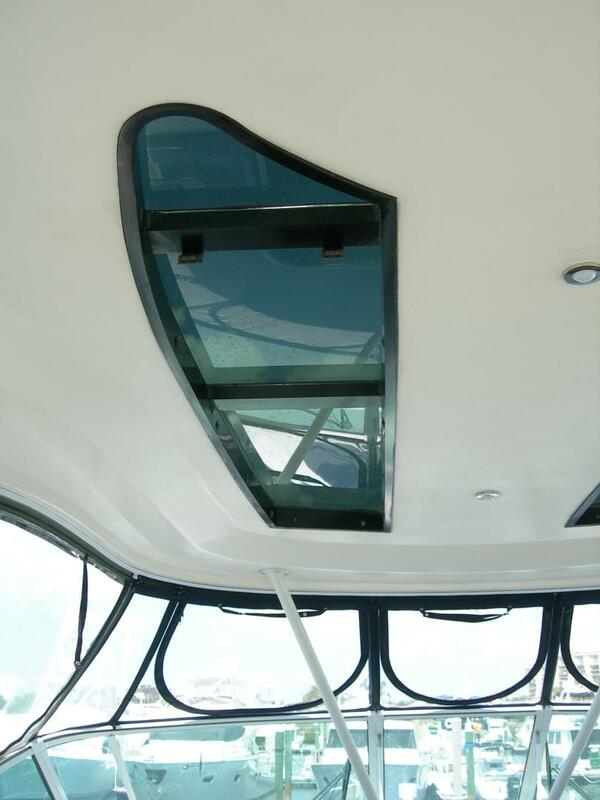 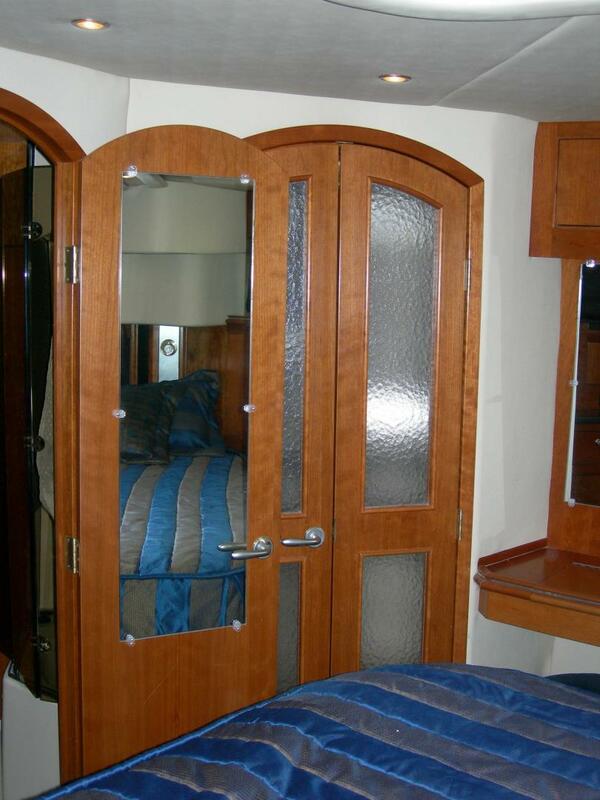 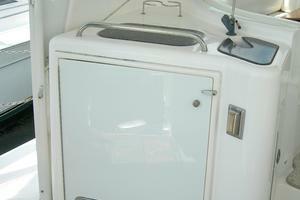 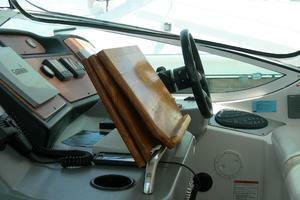 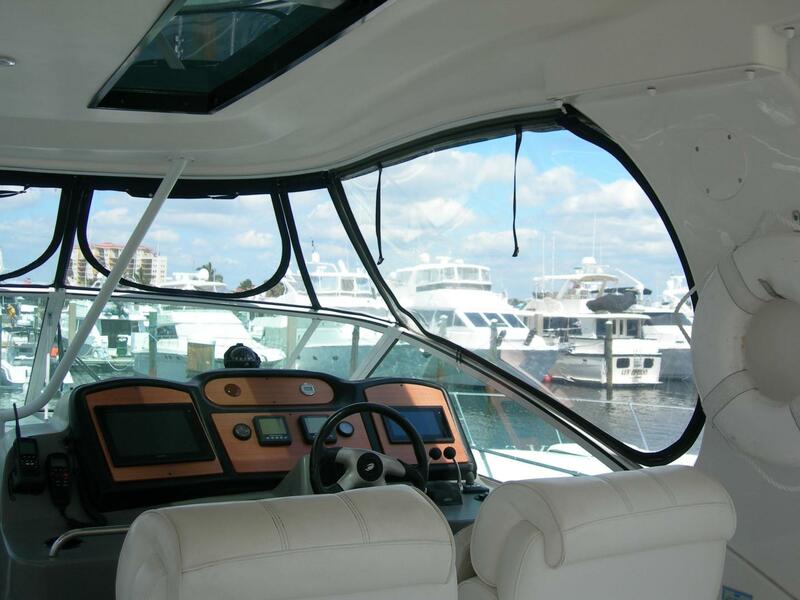 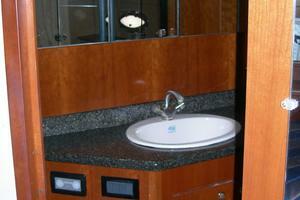 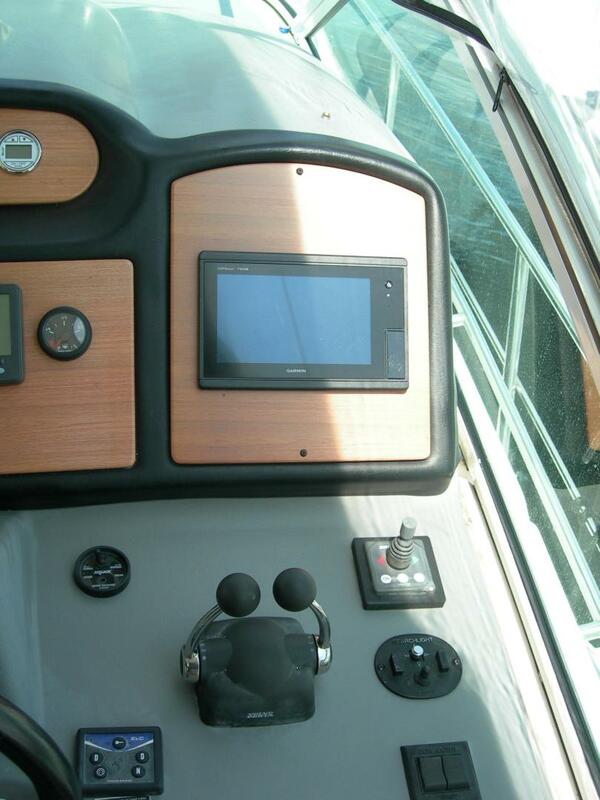 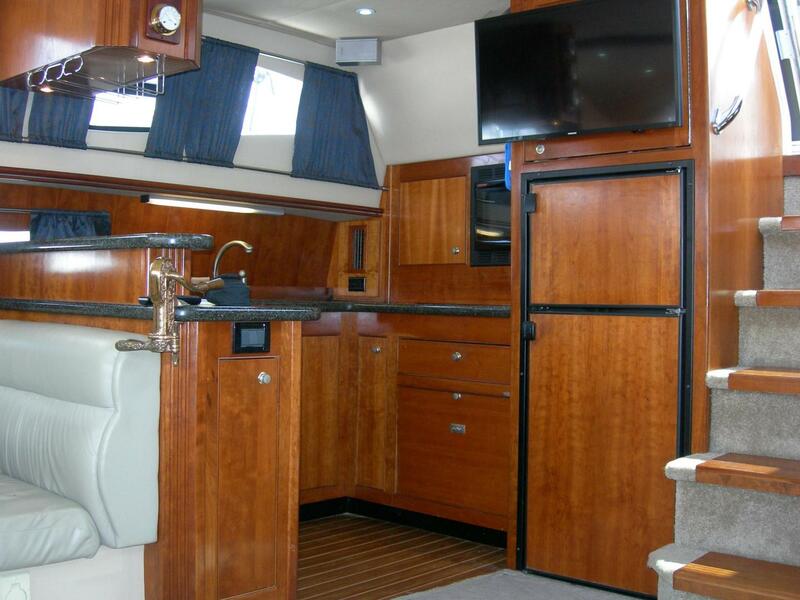 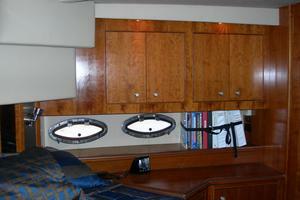 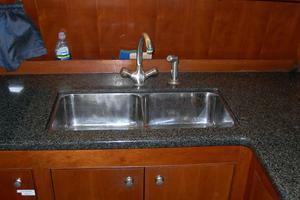 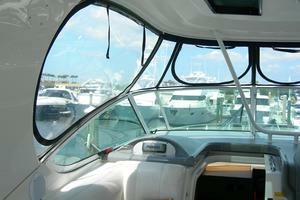 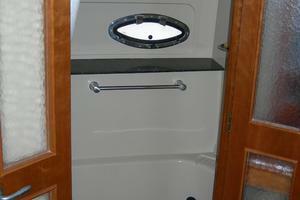 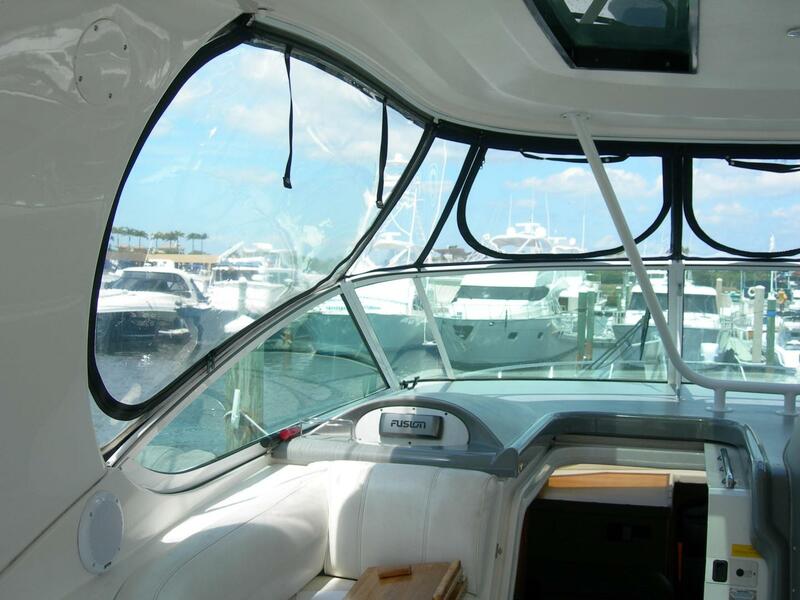 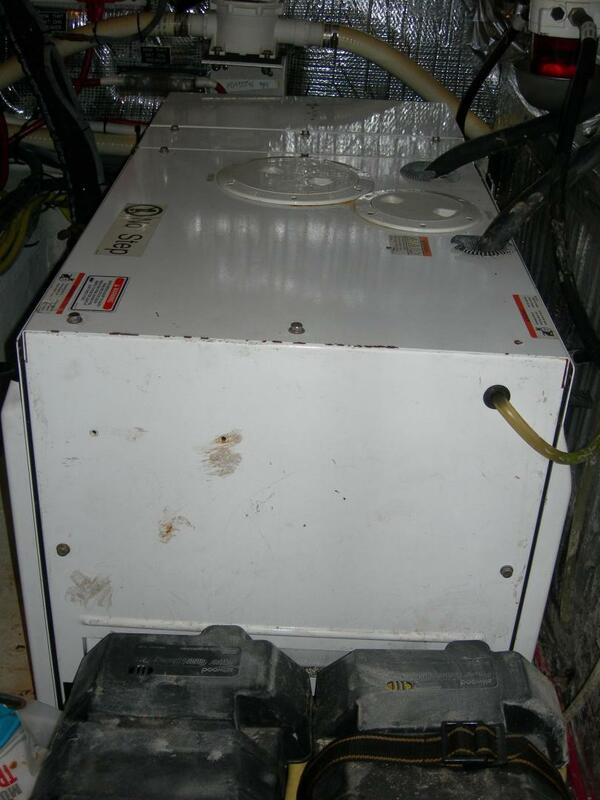 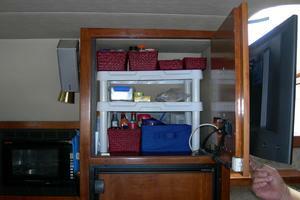 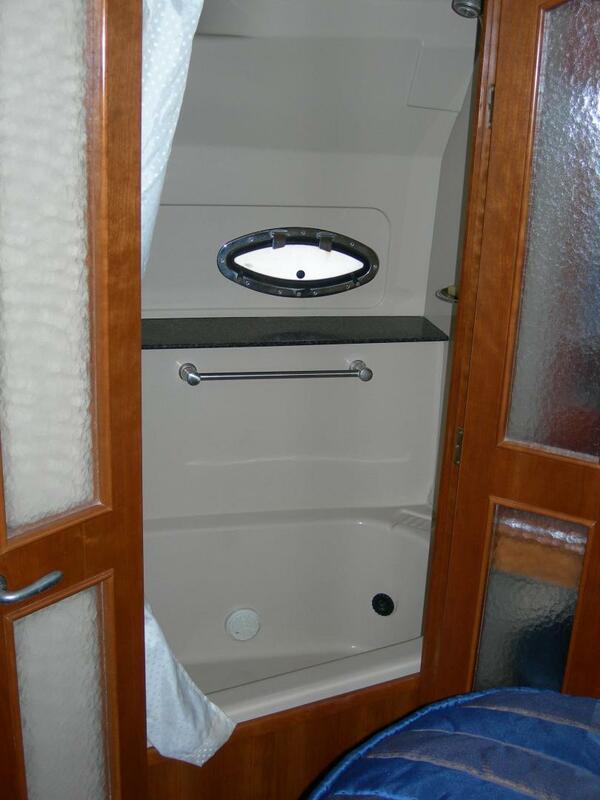 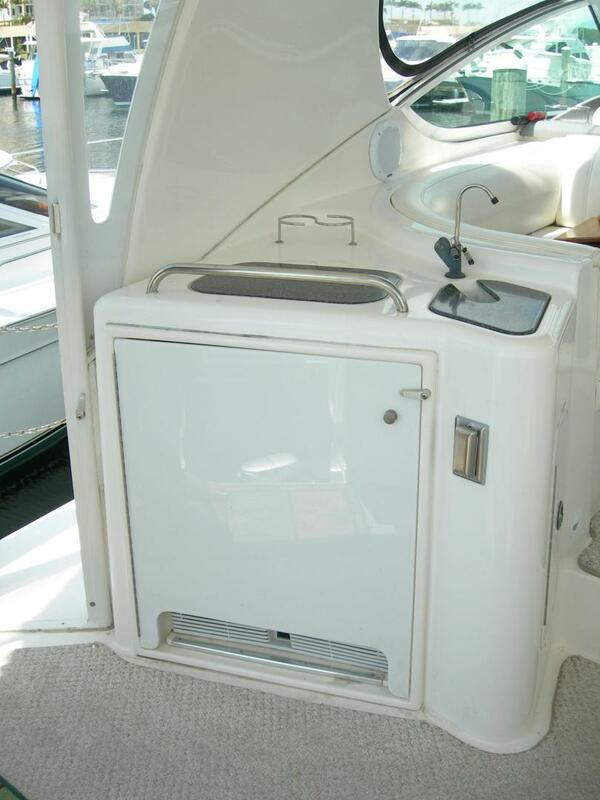 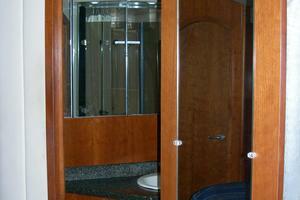 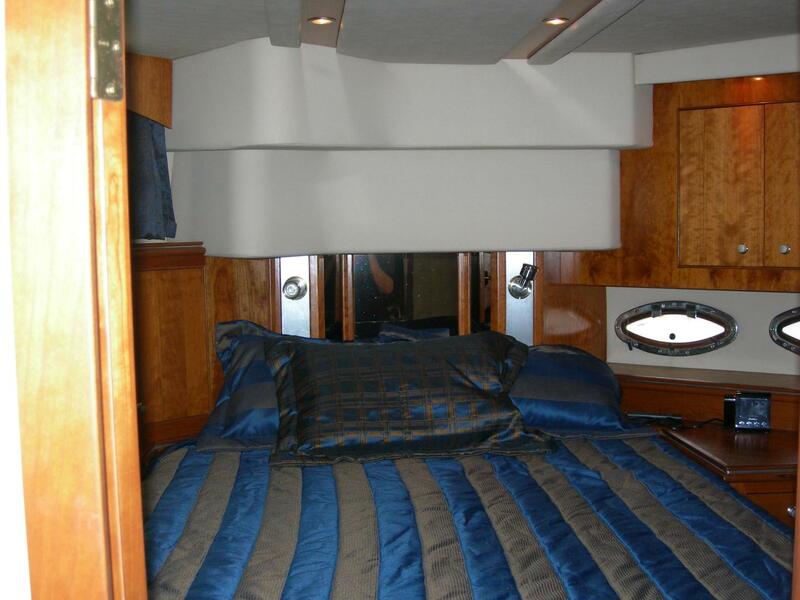 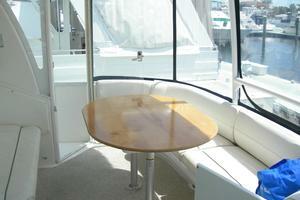 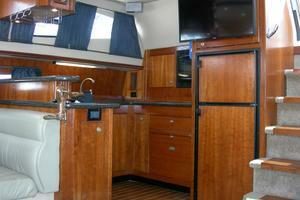 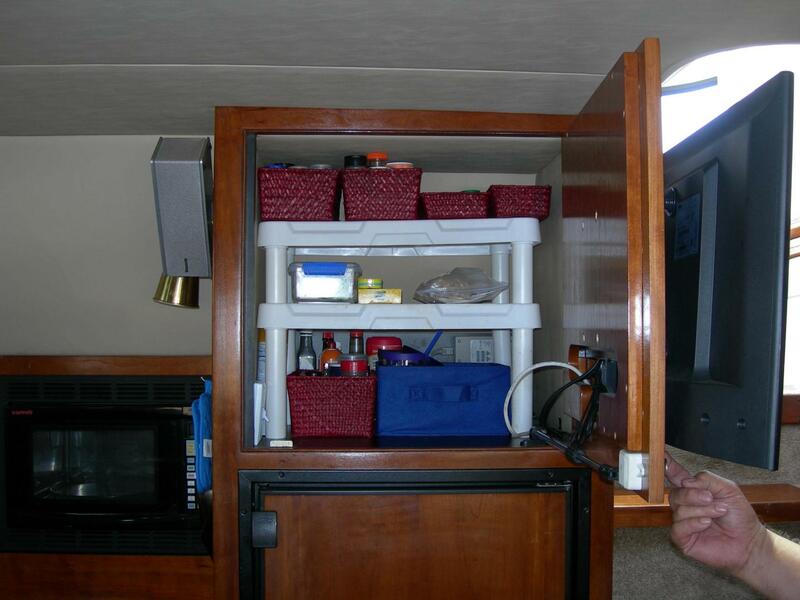 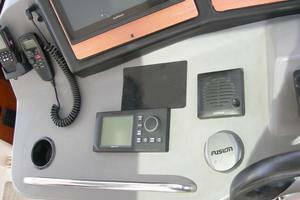 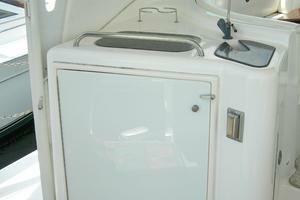 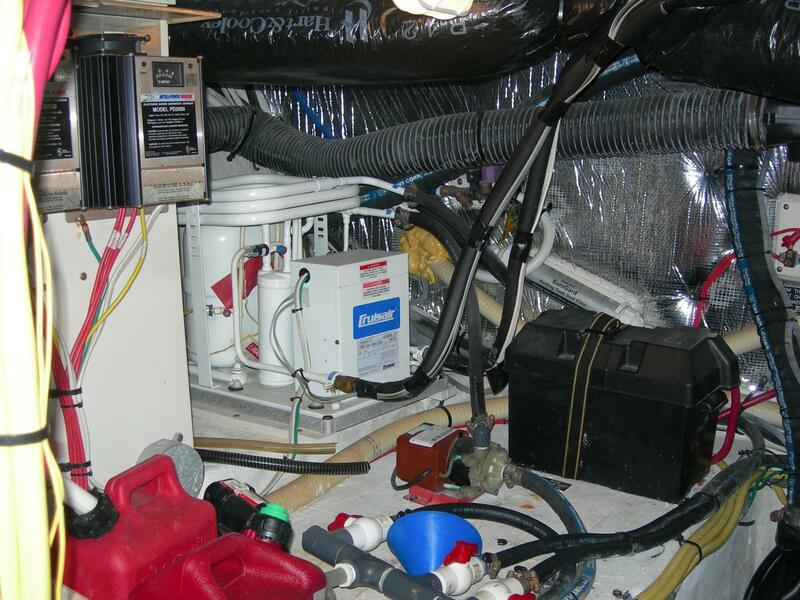 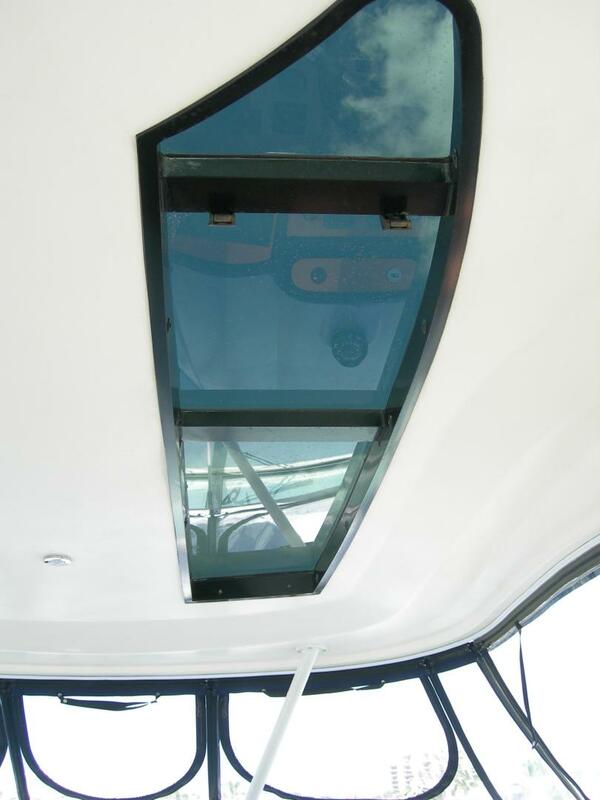 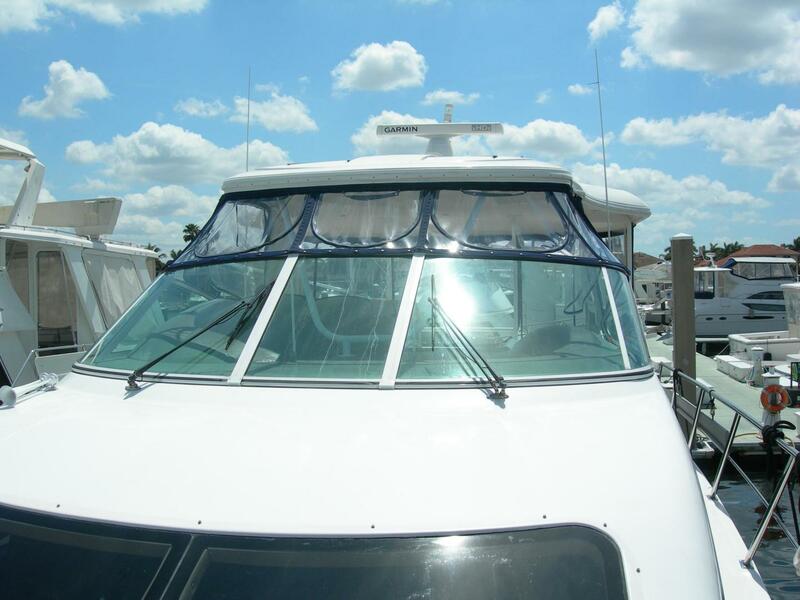 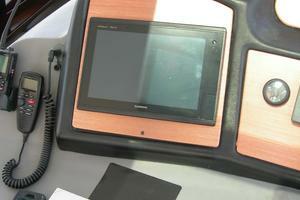 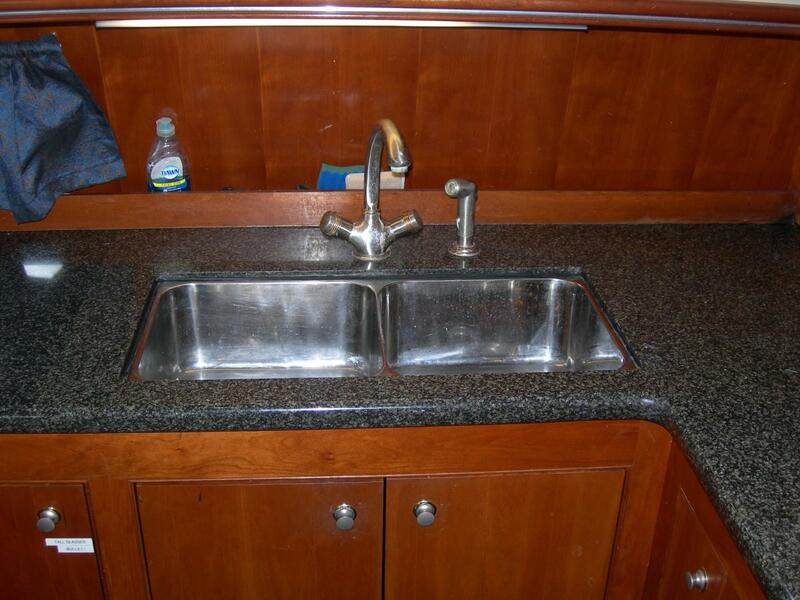 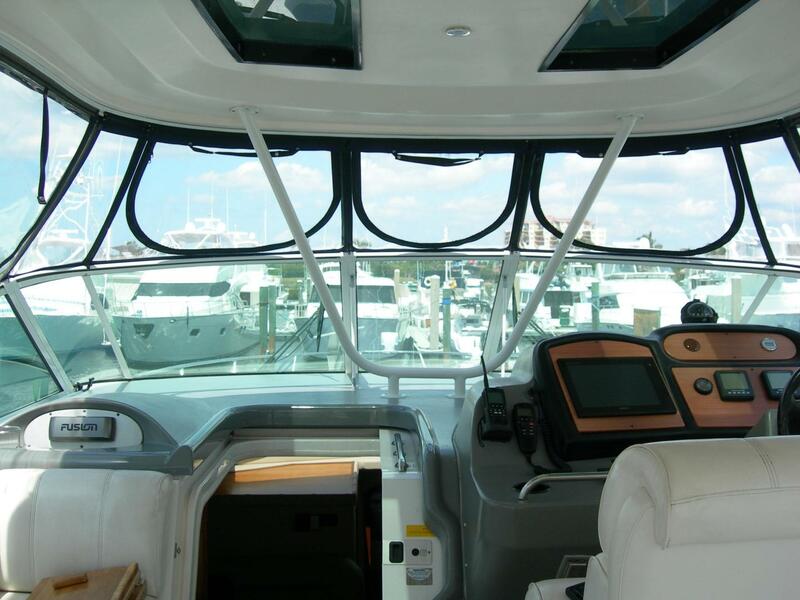 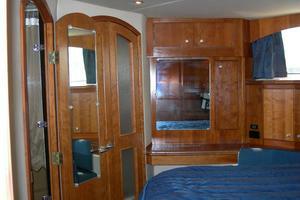 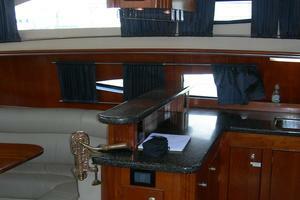 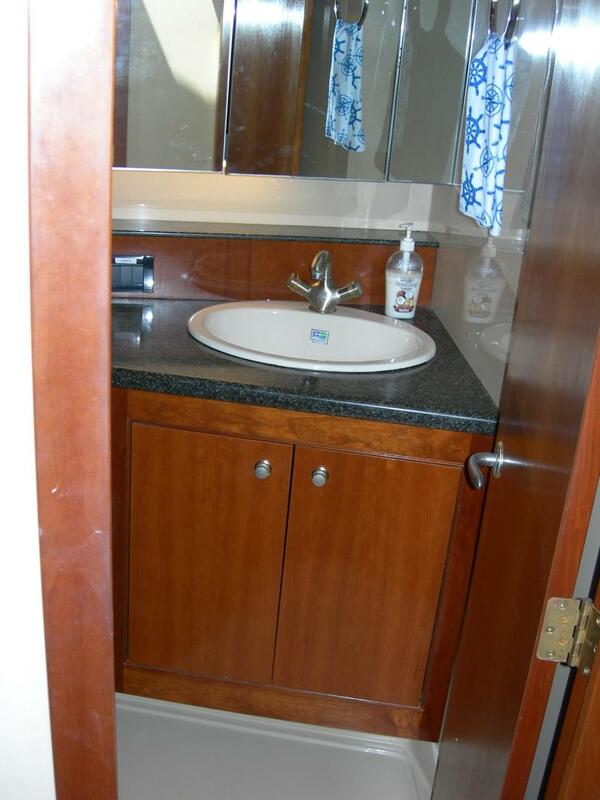 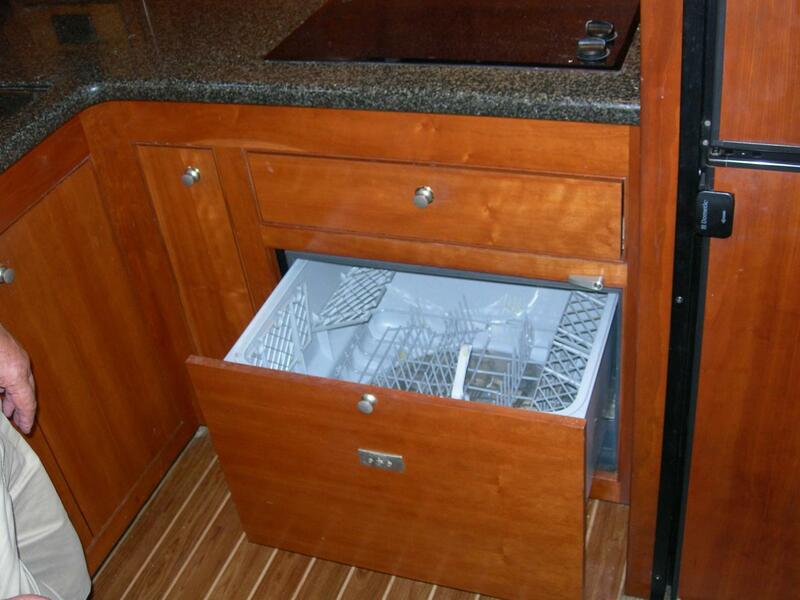 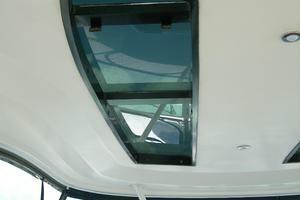 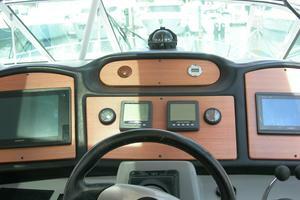 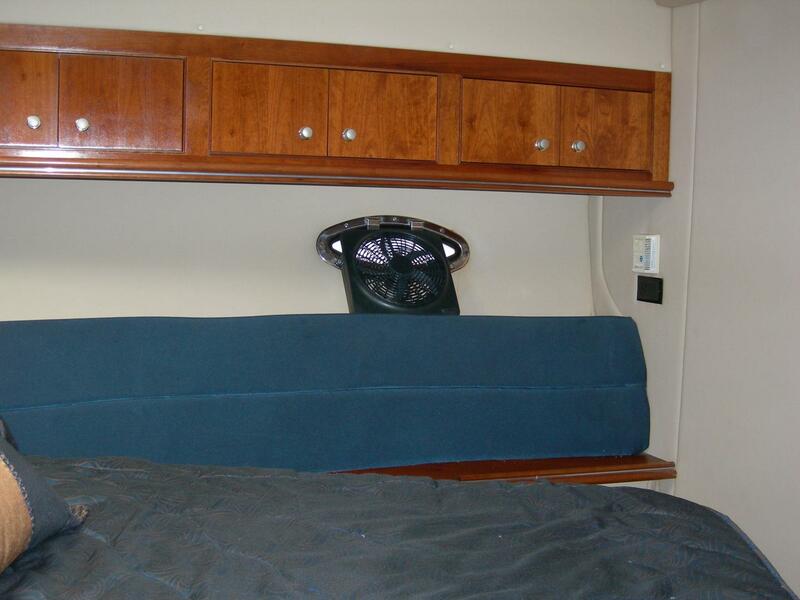 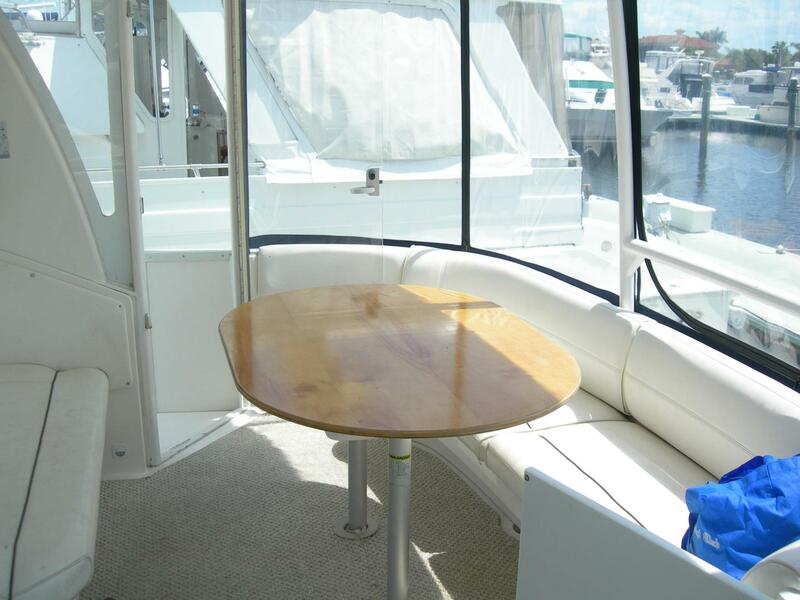 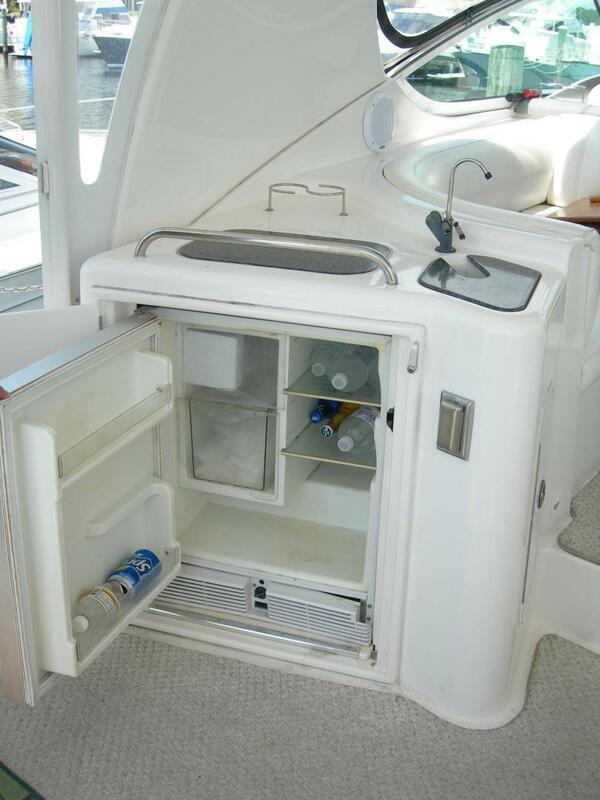 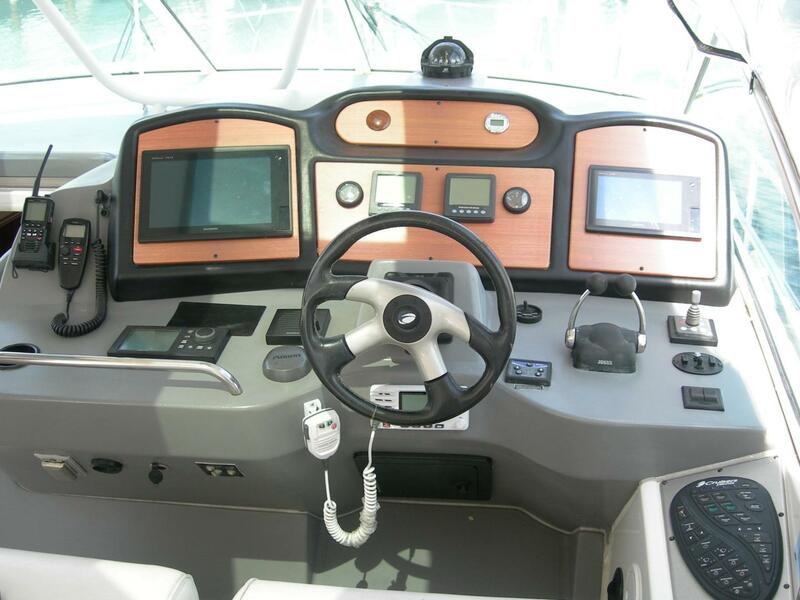 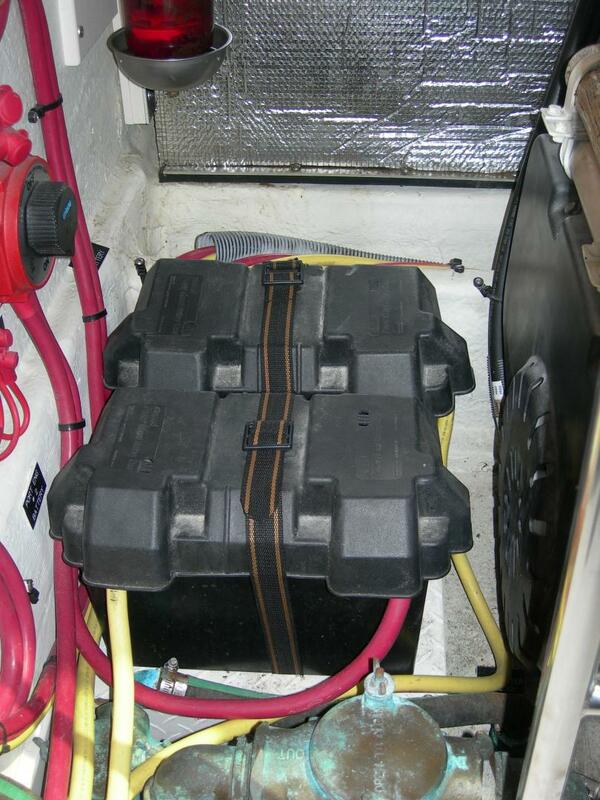 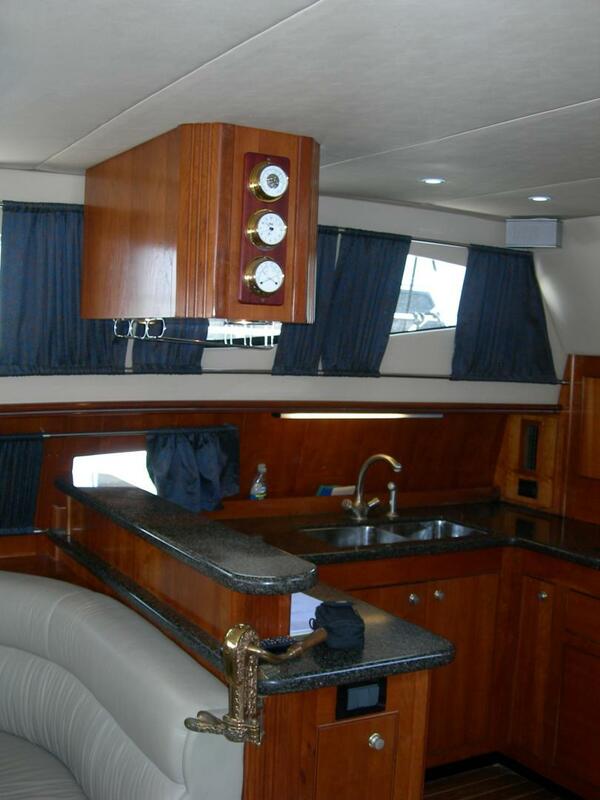 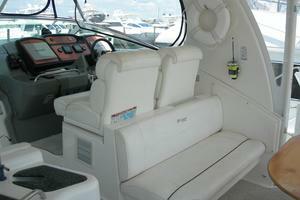 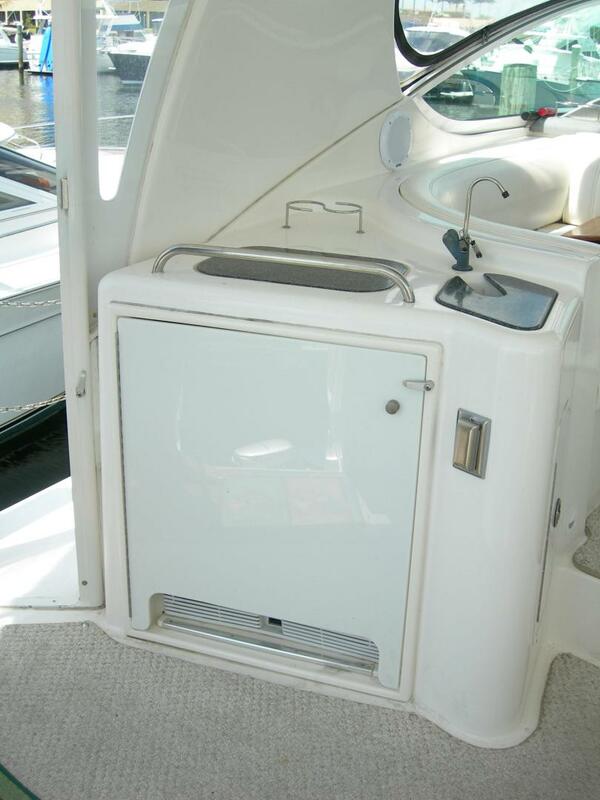 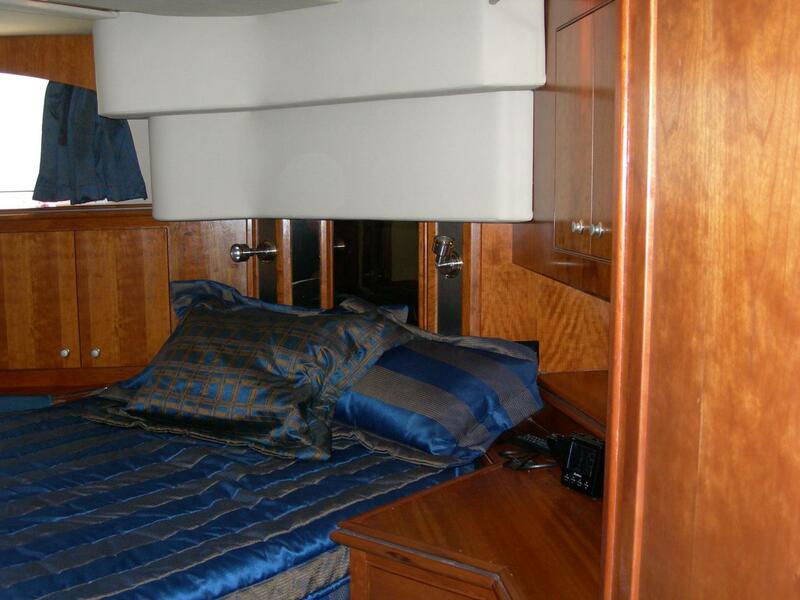 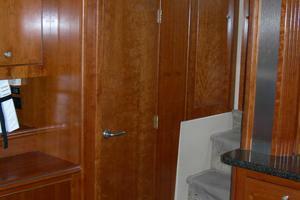 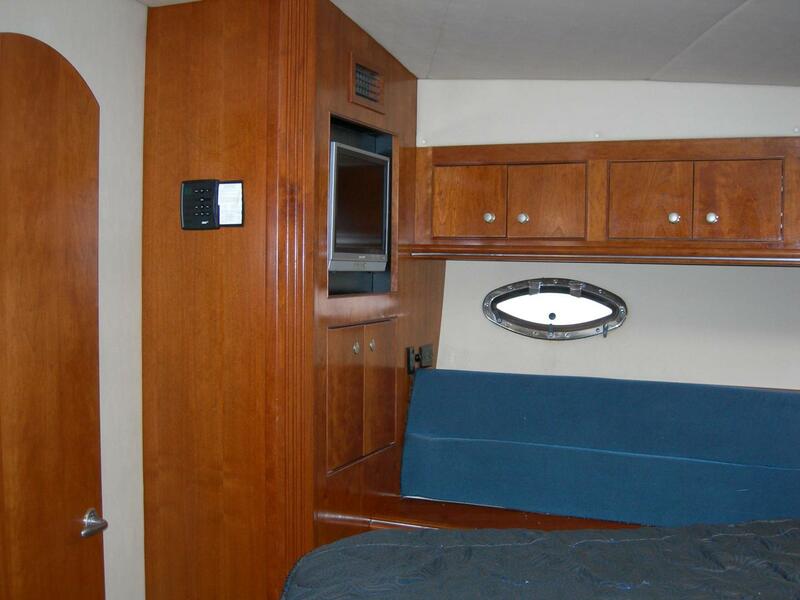 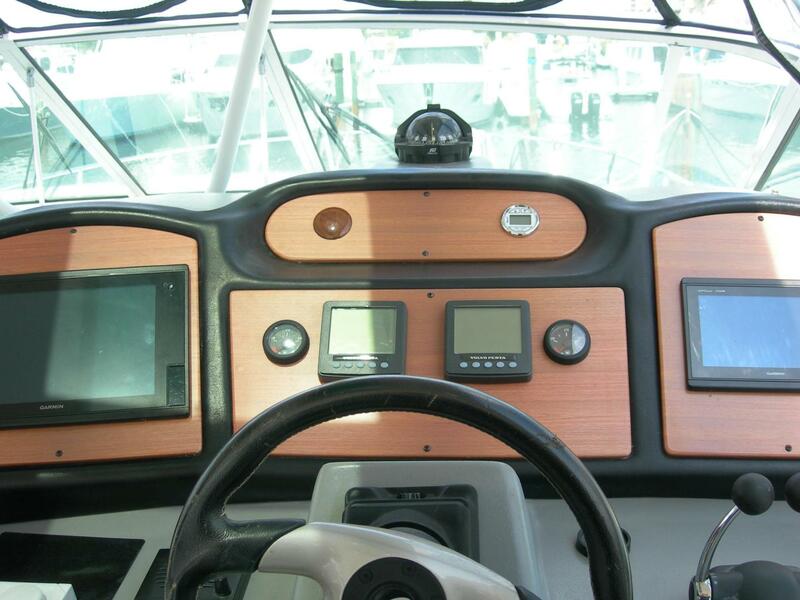 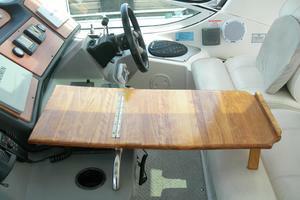 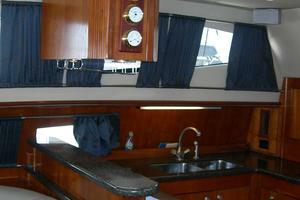 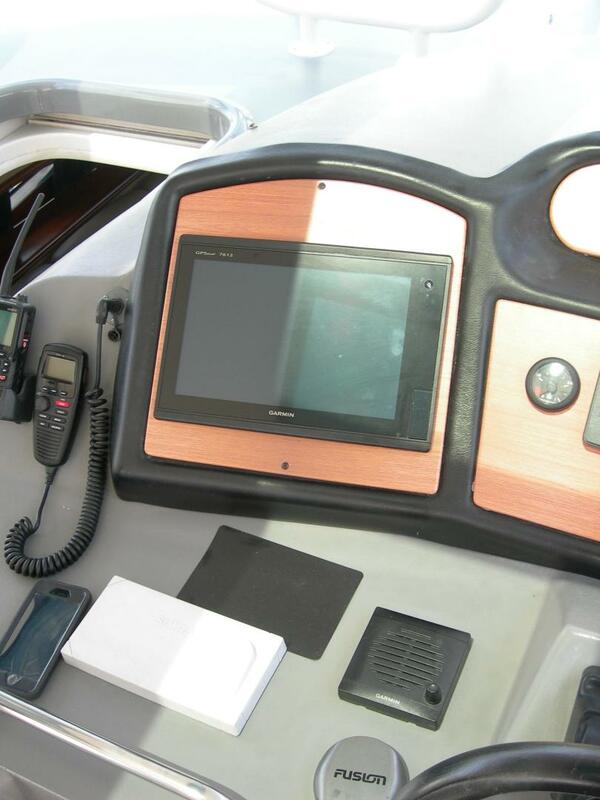 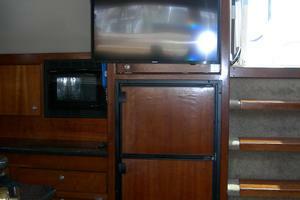 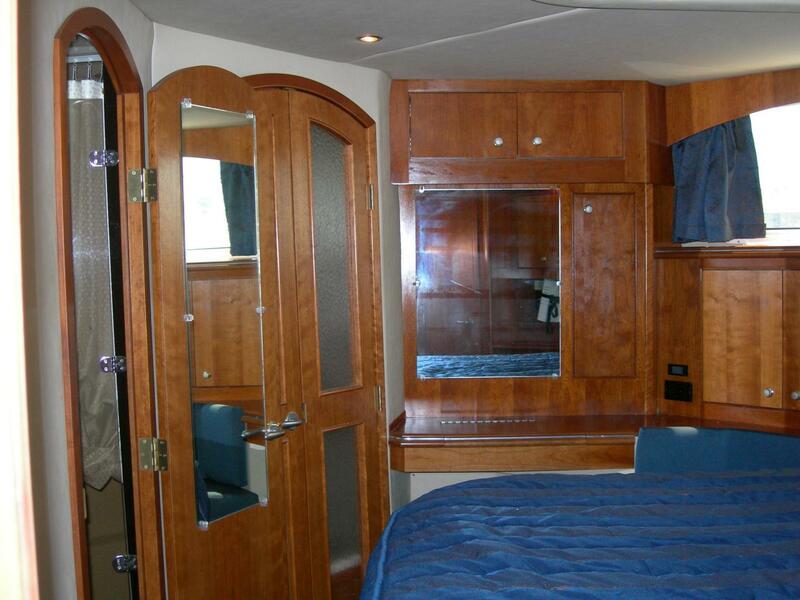 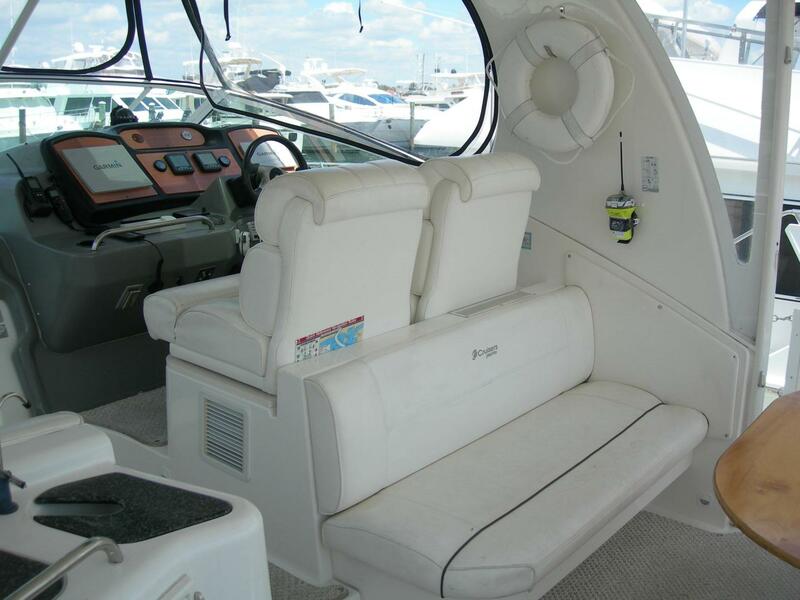 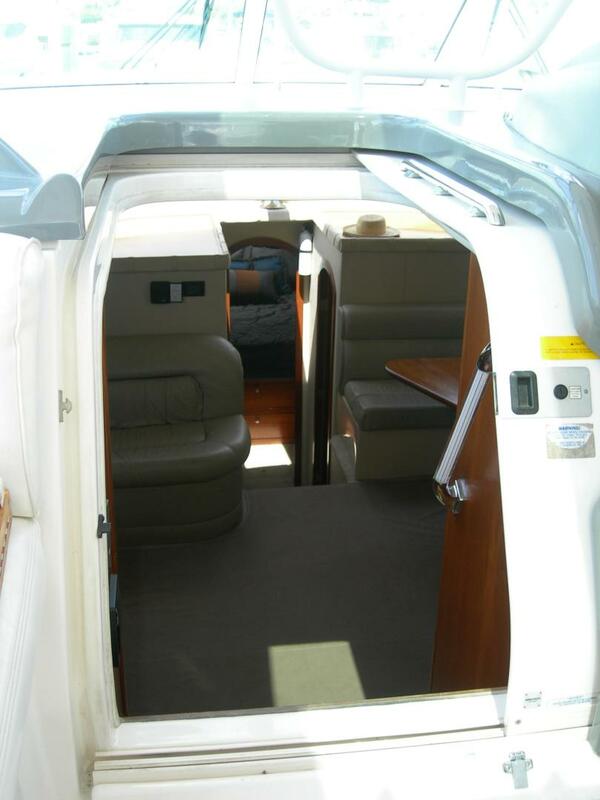 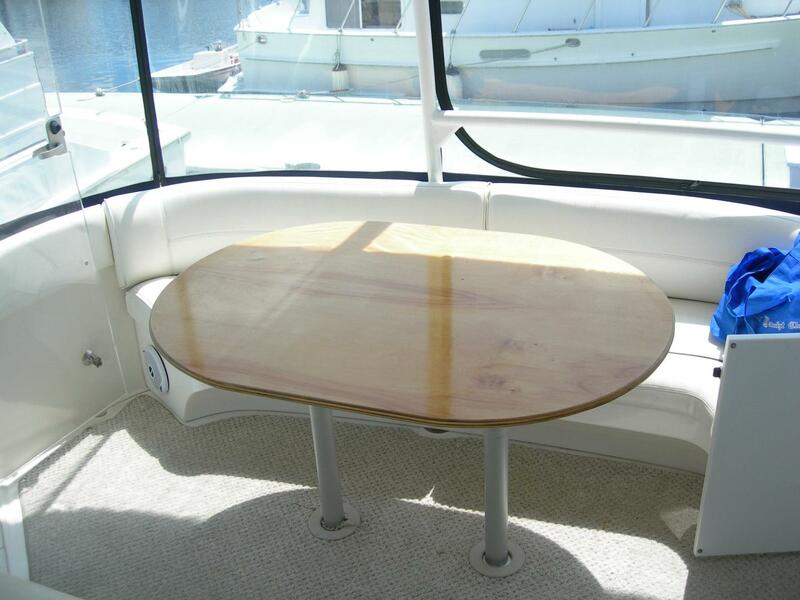 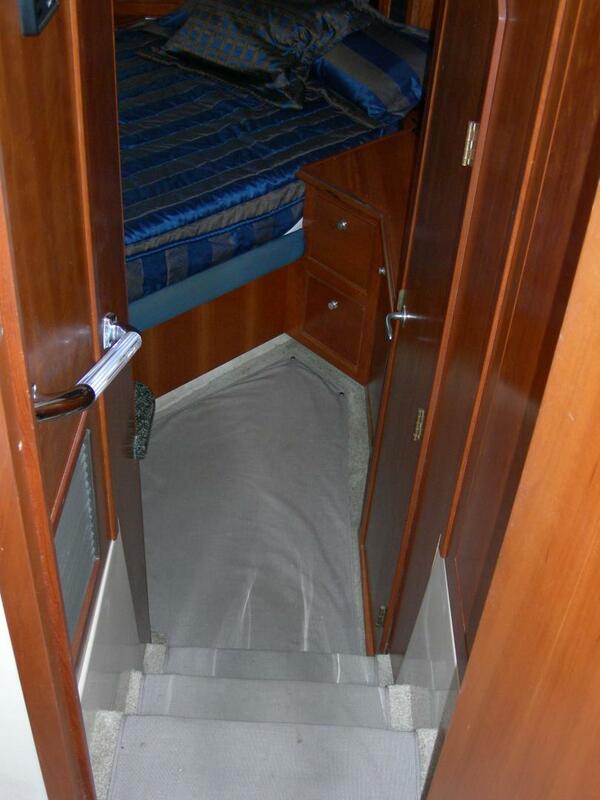 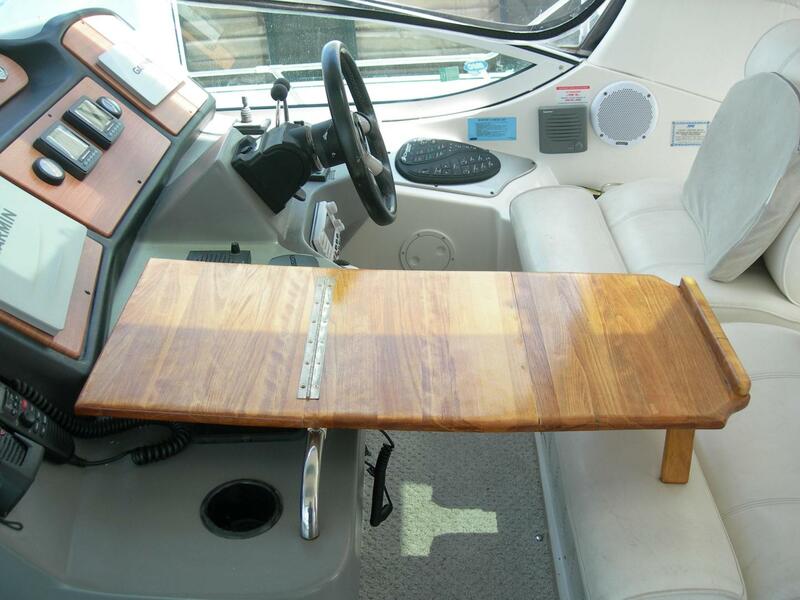 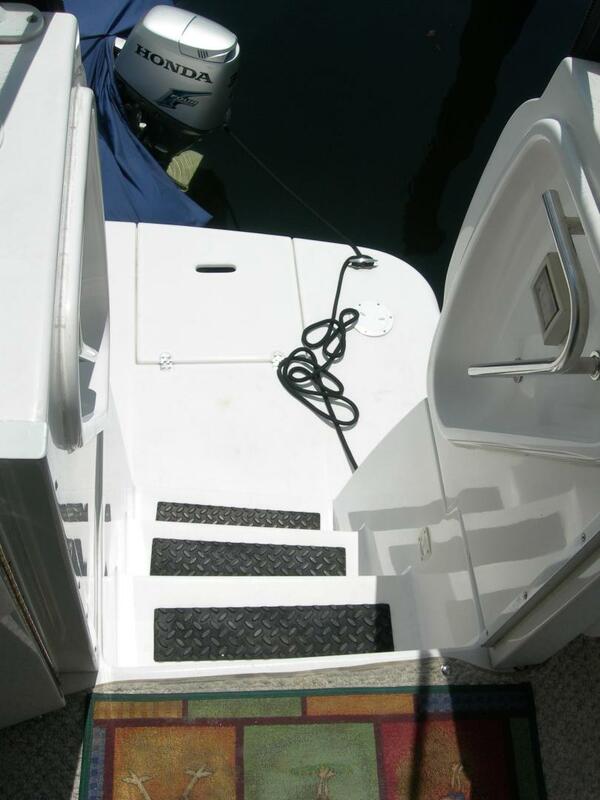 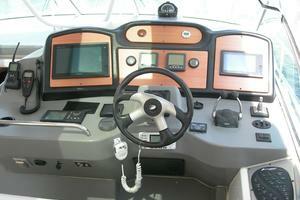 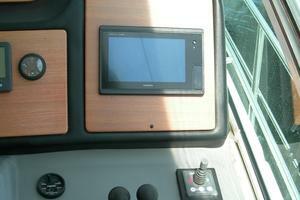 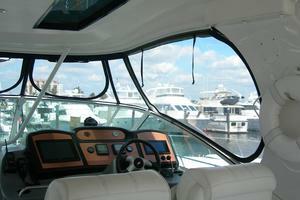 There is an extra large aft window, a cedar lined hanging locker, expansive storage and a separate vanity. 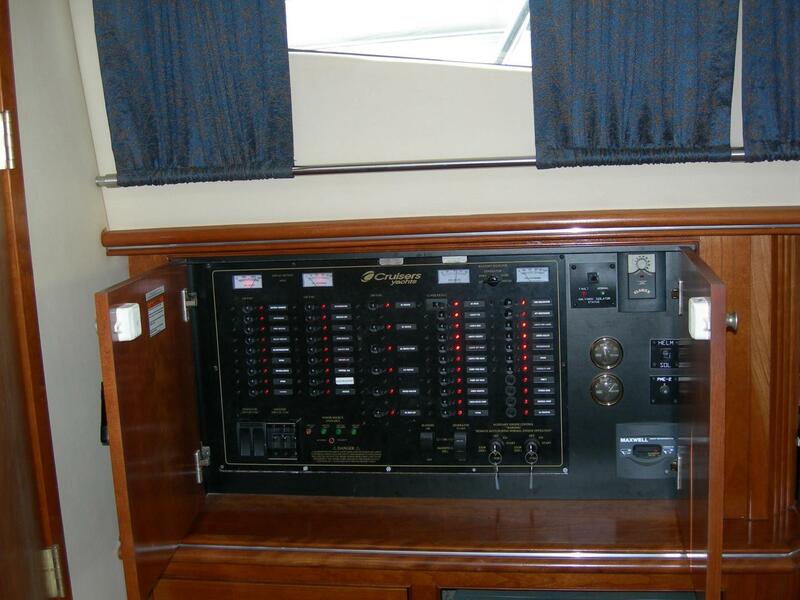 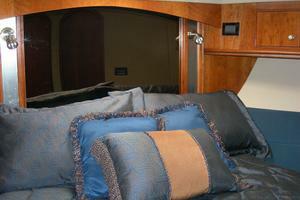 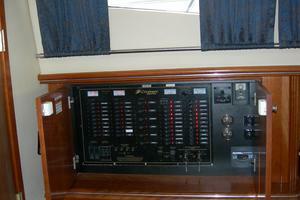 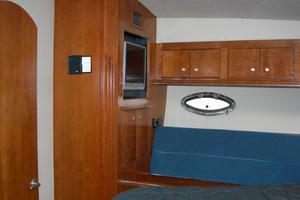 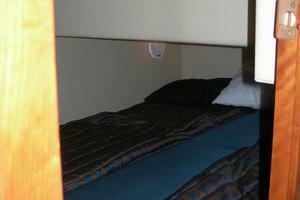 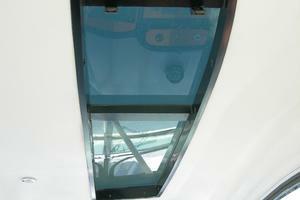 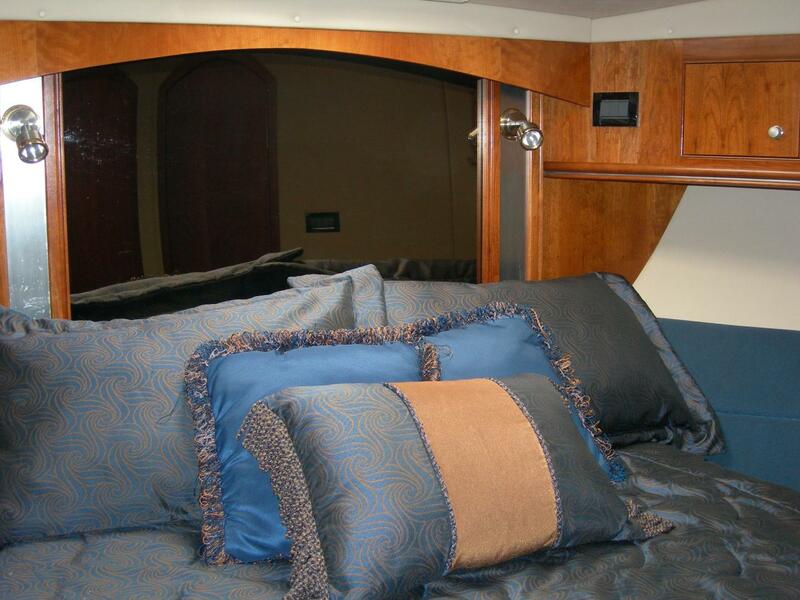 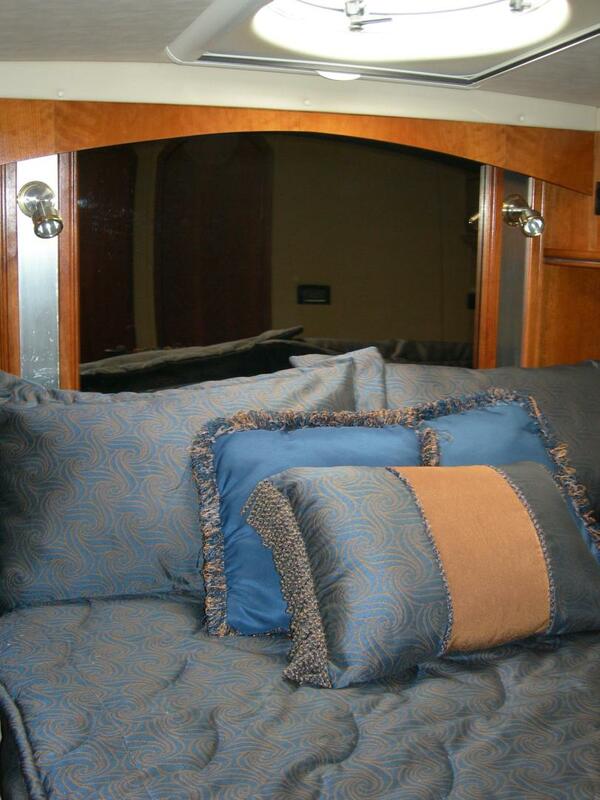 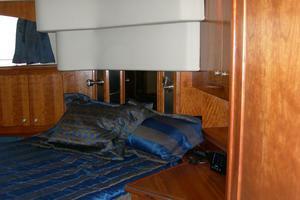 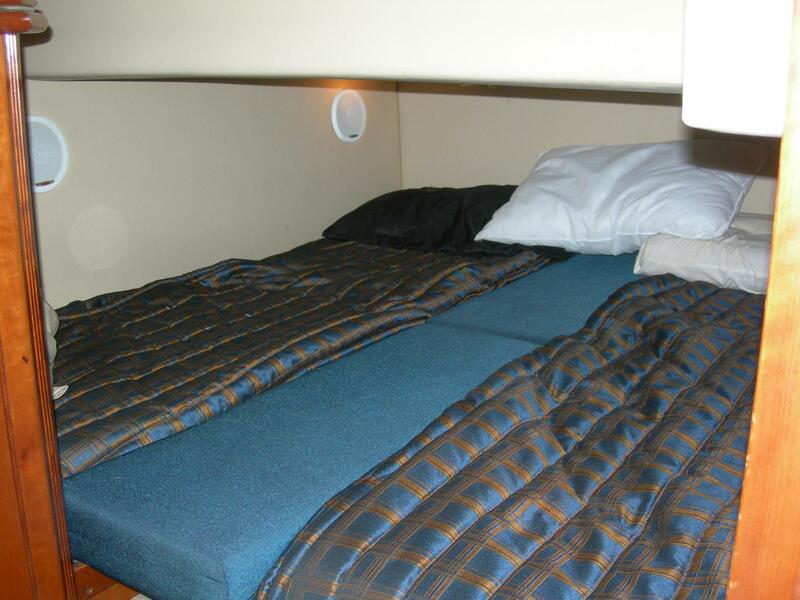 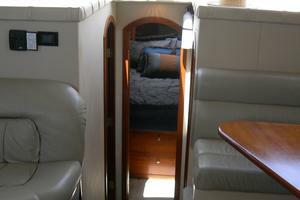 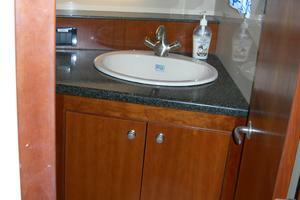 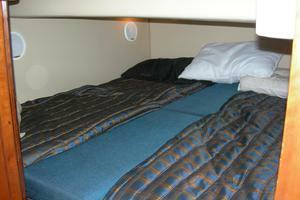 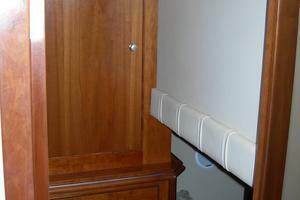 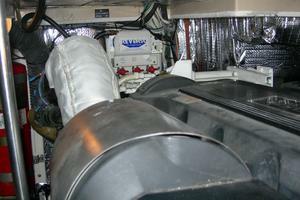 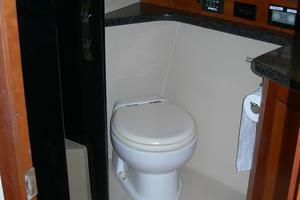 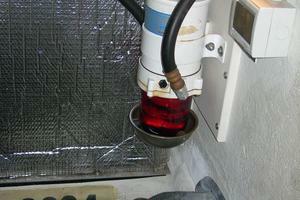 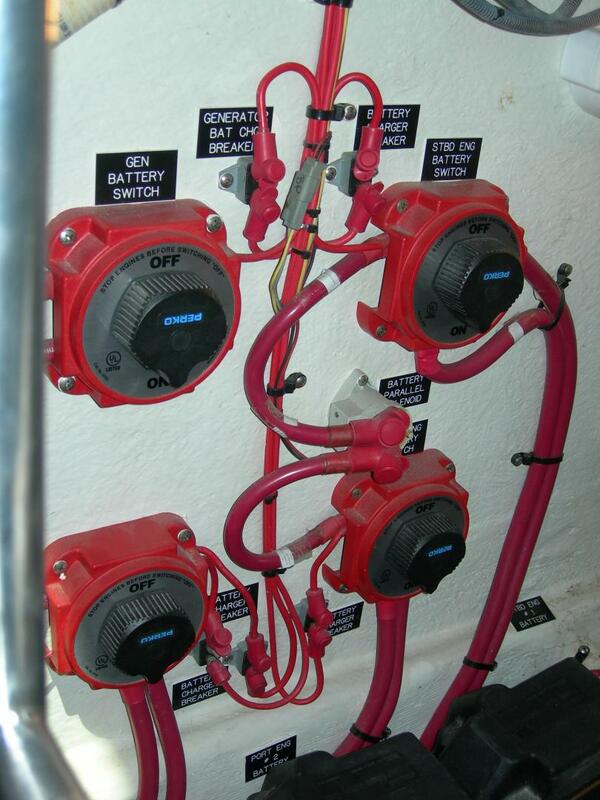 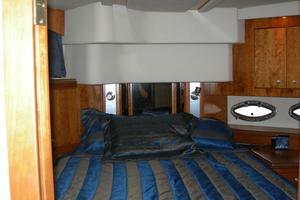 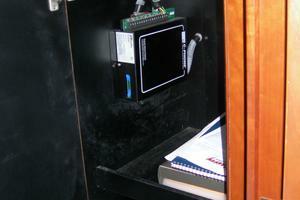 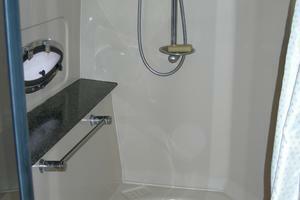 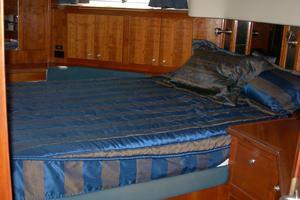 The VIP stateroom features a queen berth with overhead hatches for breezesat anchor and port lights for natural light. 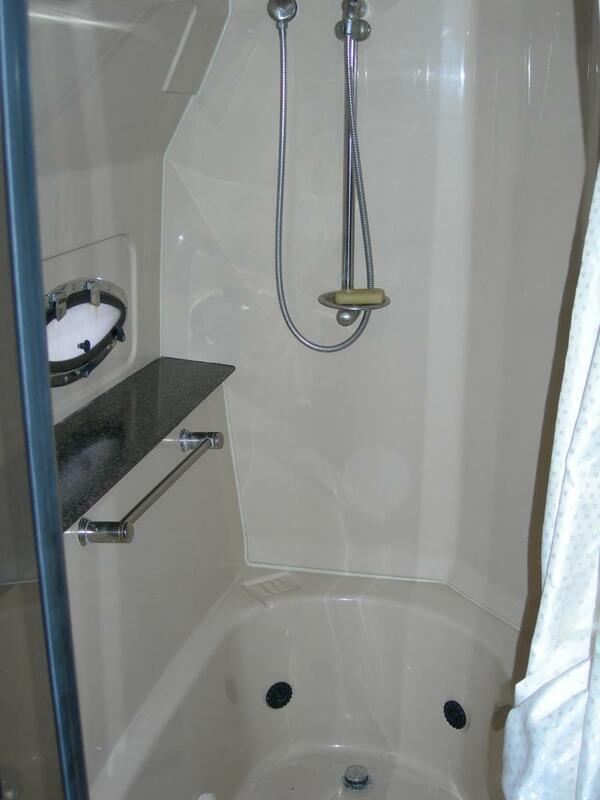 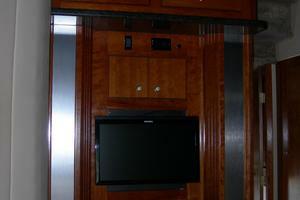 Guests also have an ensuite head with shower, a cedar lined hanging locker and a private flat screen TFV and Blaupunkt DVD/CD/MP3 player. 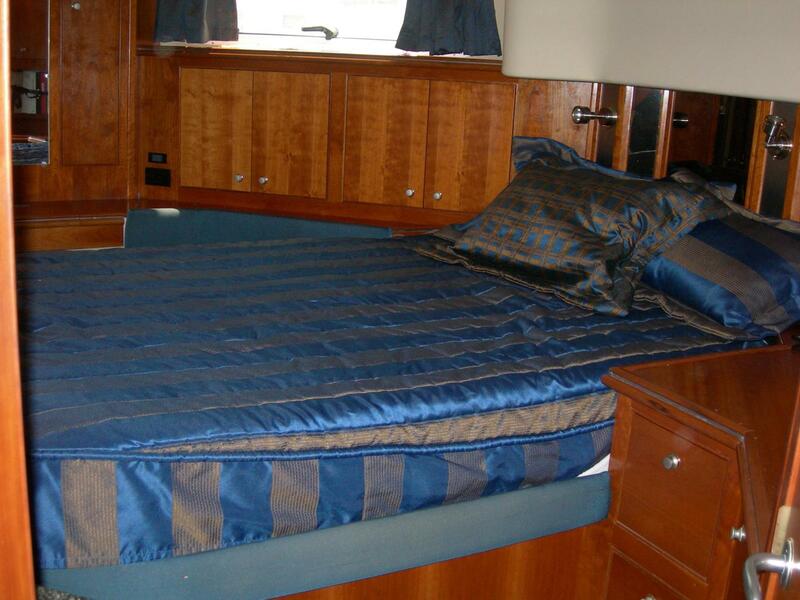 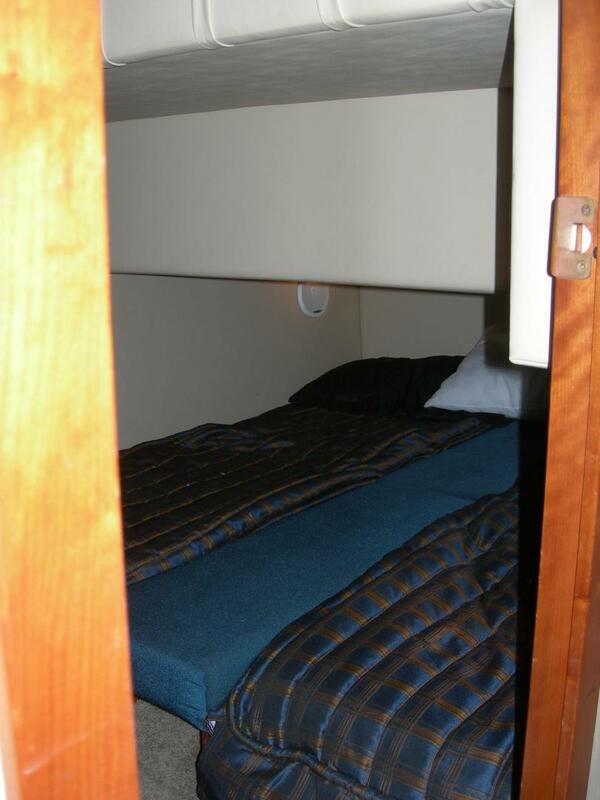 The guest stateroom features twin berths that form a queen size berth when needed. 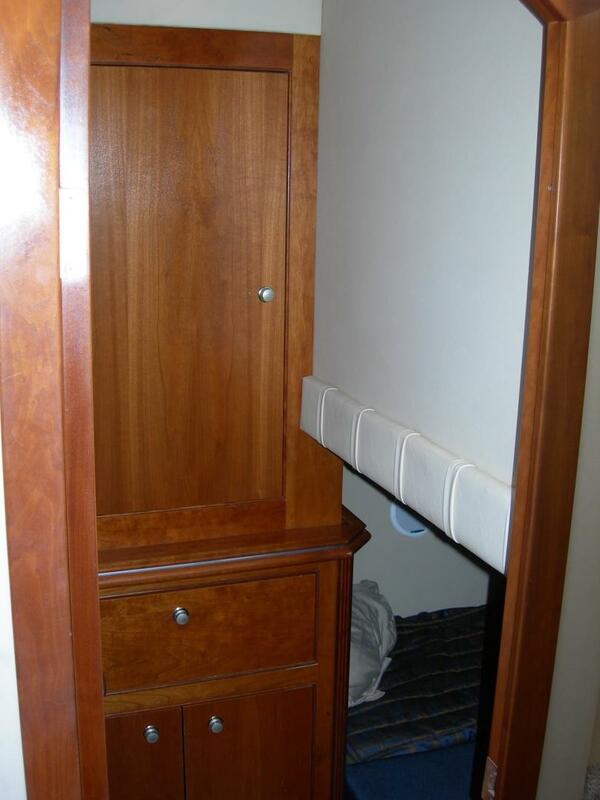 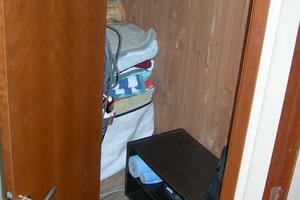 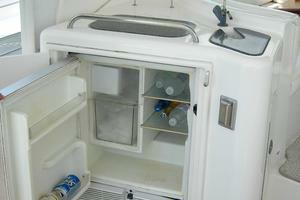 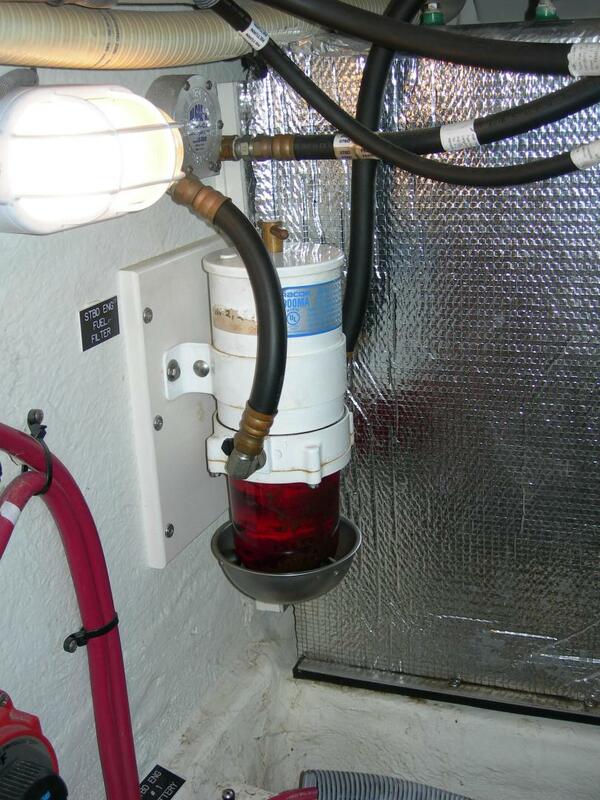 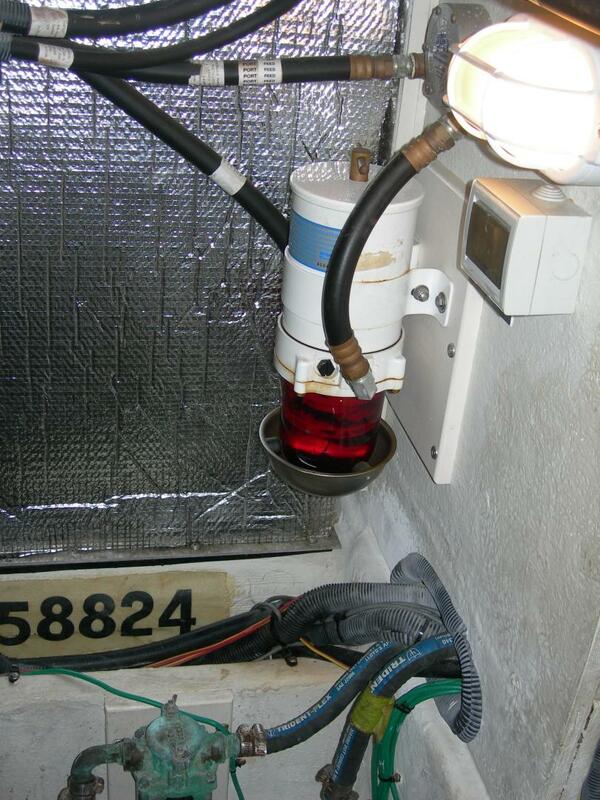 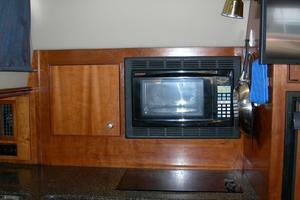 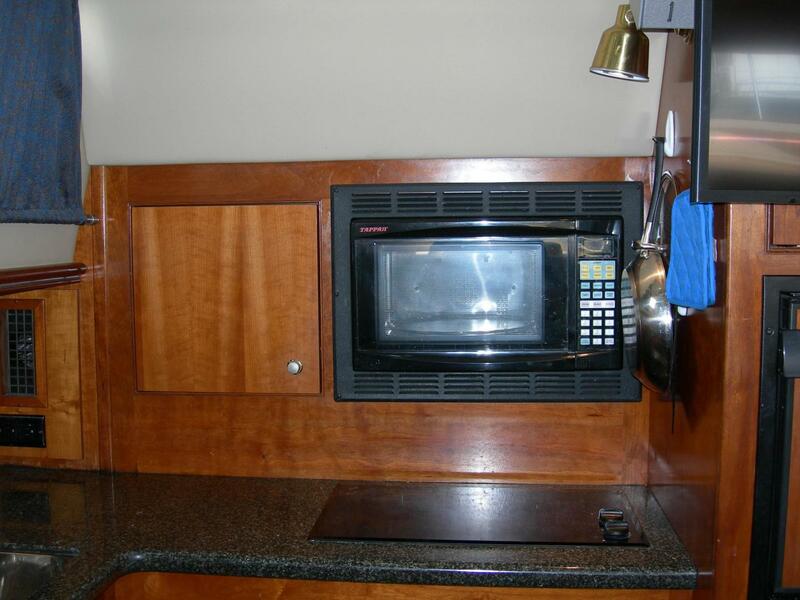 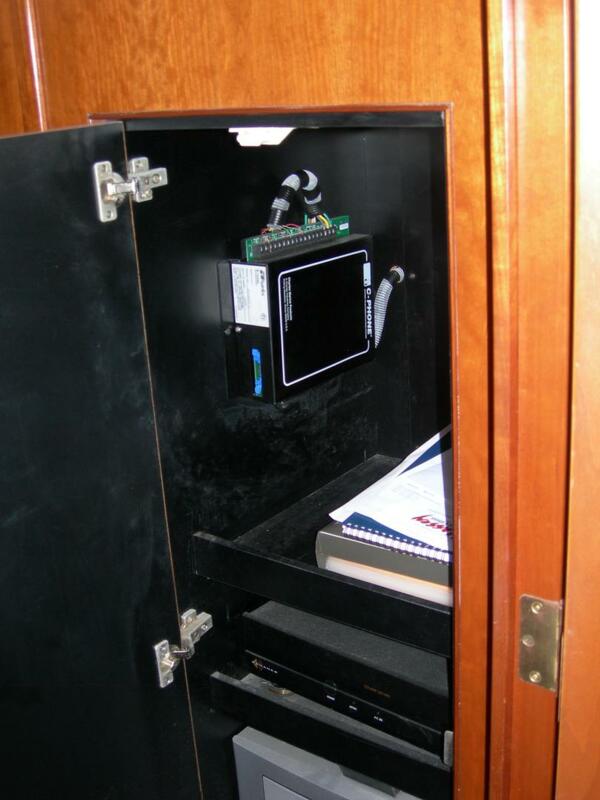 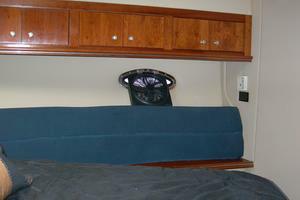 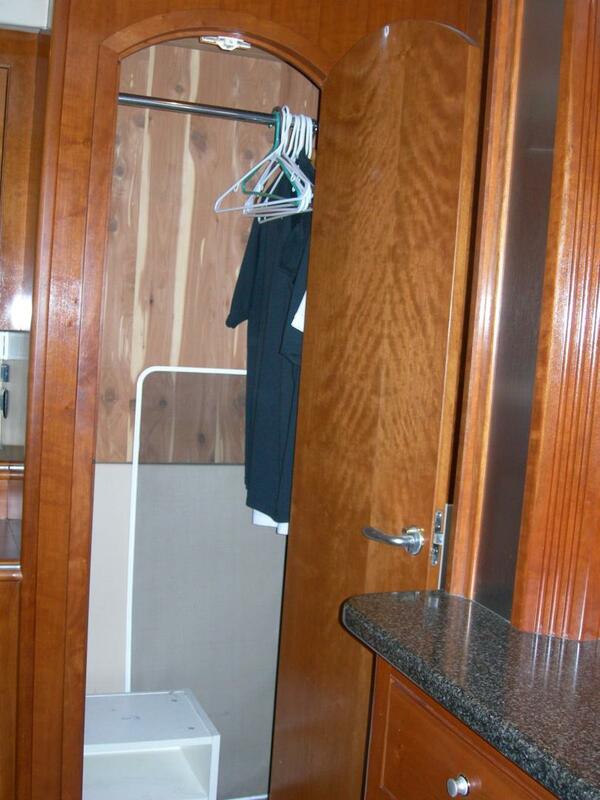 There is a separate locker and storage.The guest stateroom also includes a Splendid 2000 S cloths Combo washer and dryer. 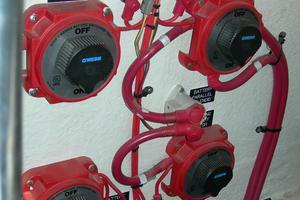 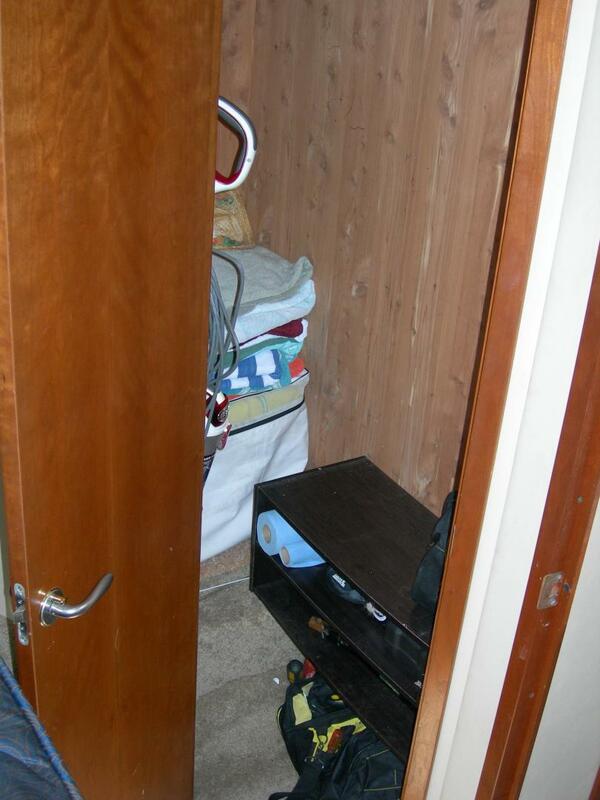 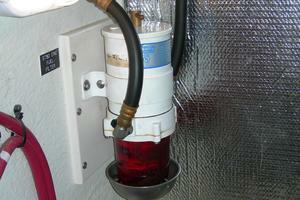 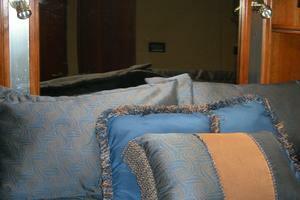 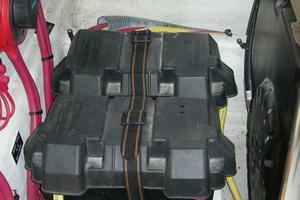 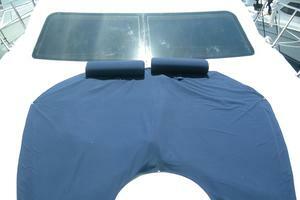 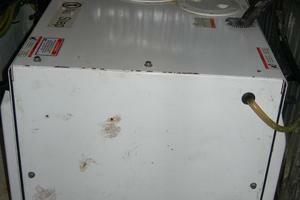 Owner's personal items and other misc.